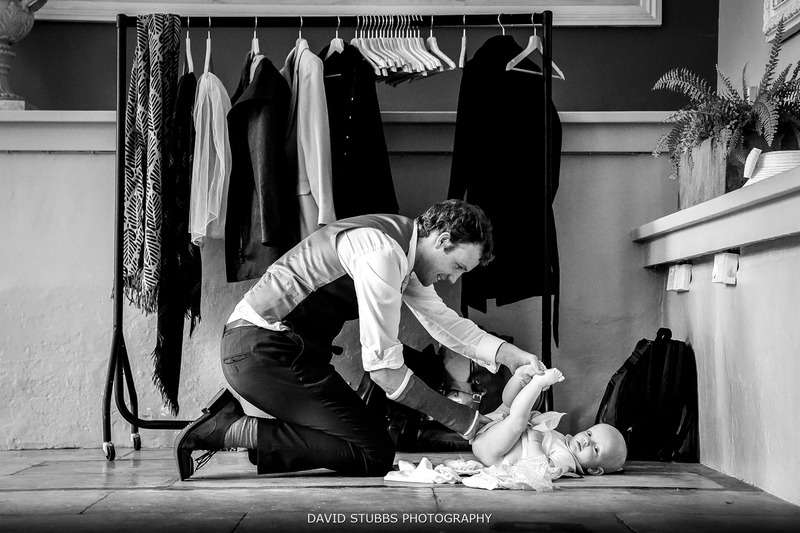 I think I have pretty much the best job in the world. 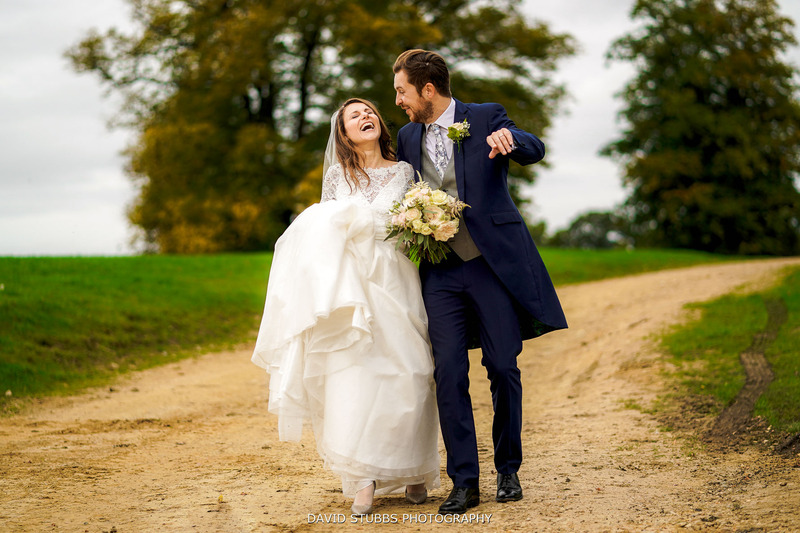 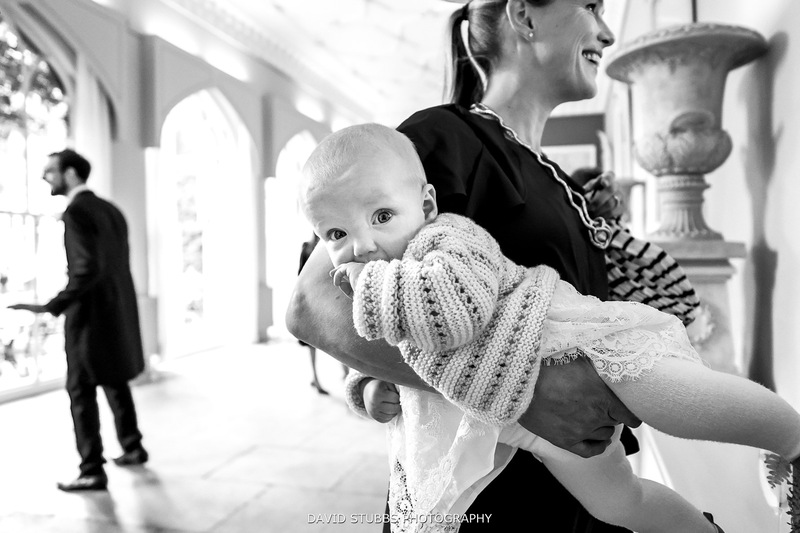 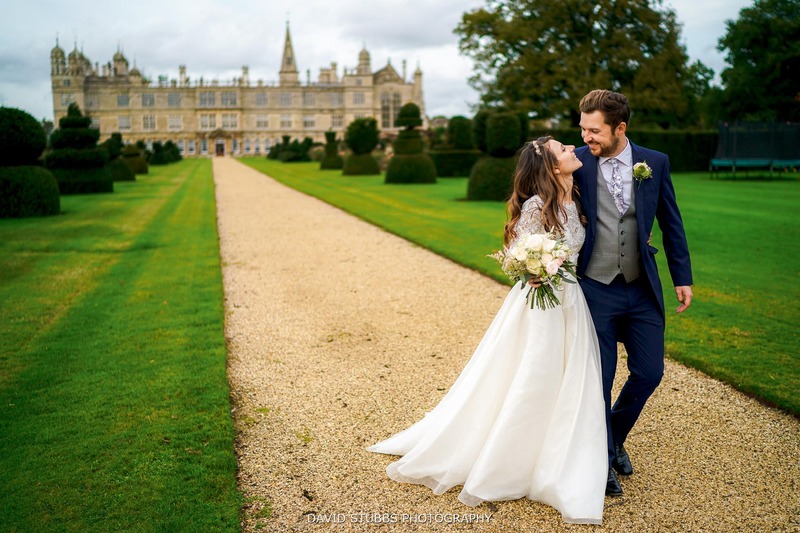 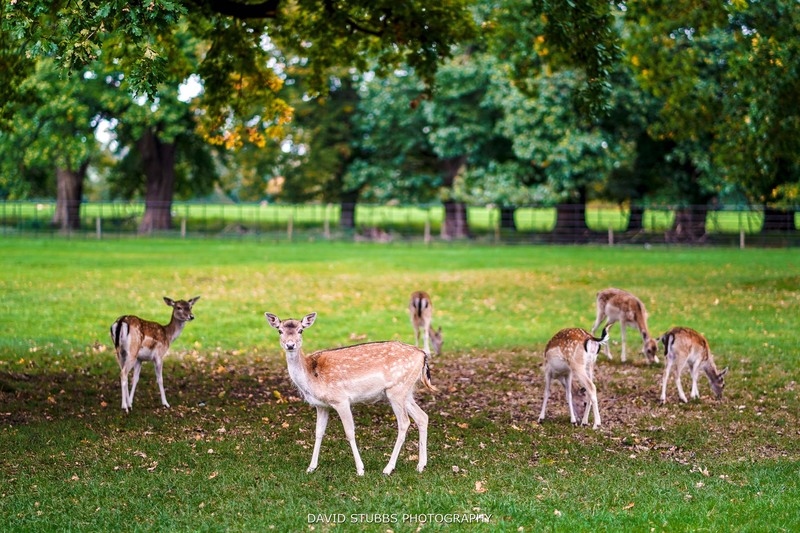 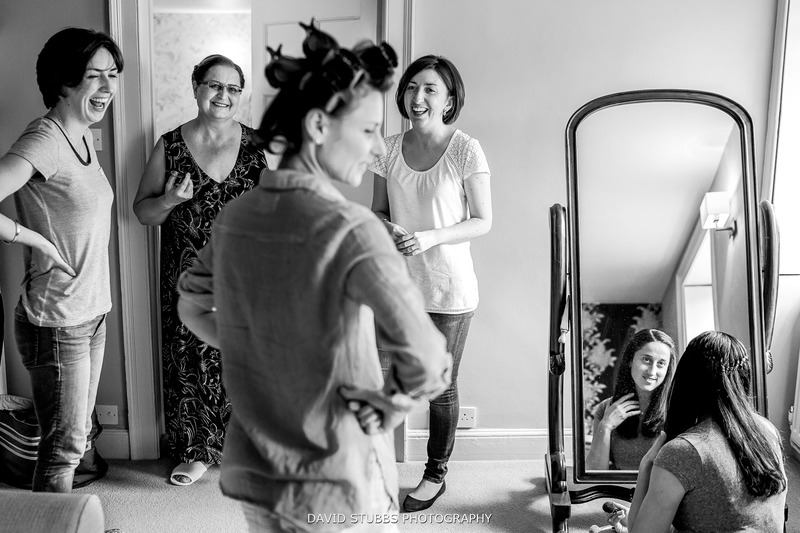 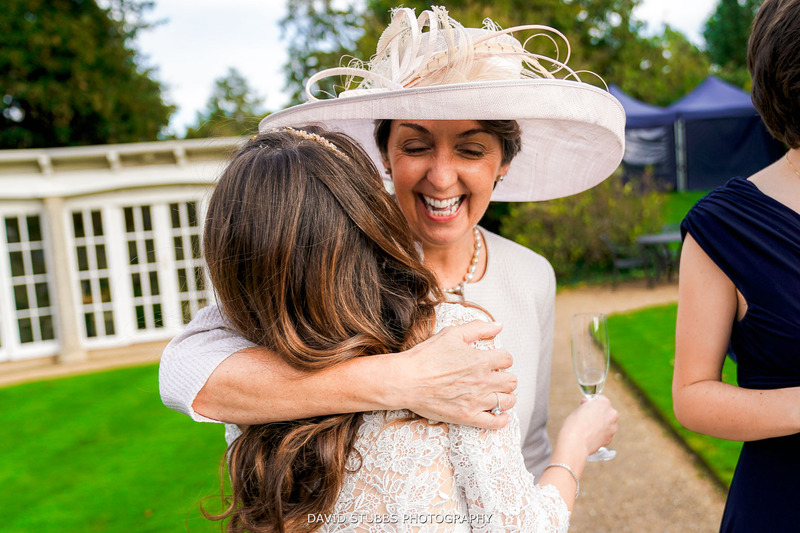 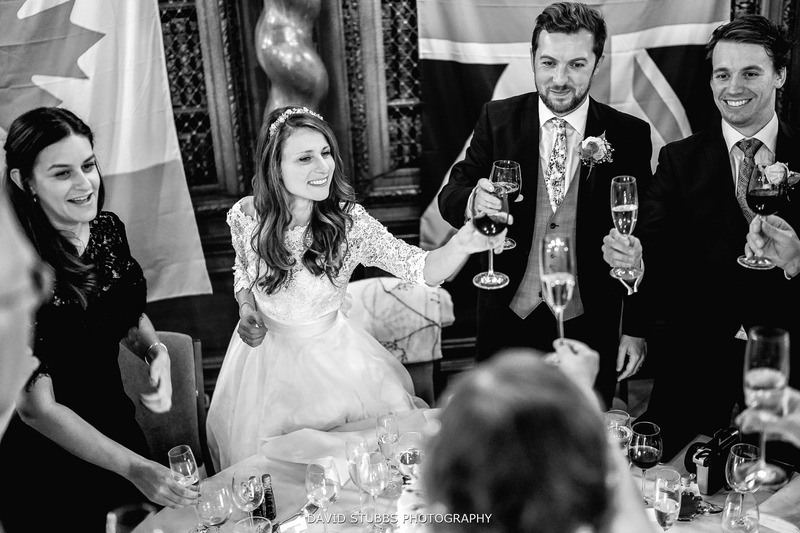 Being a wedding photographer at Burghley House is just a dream come true. 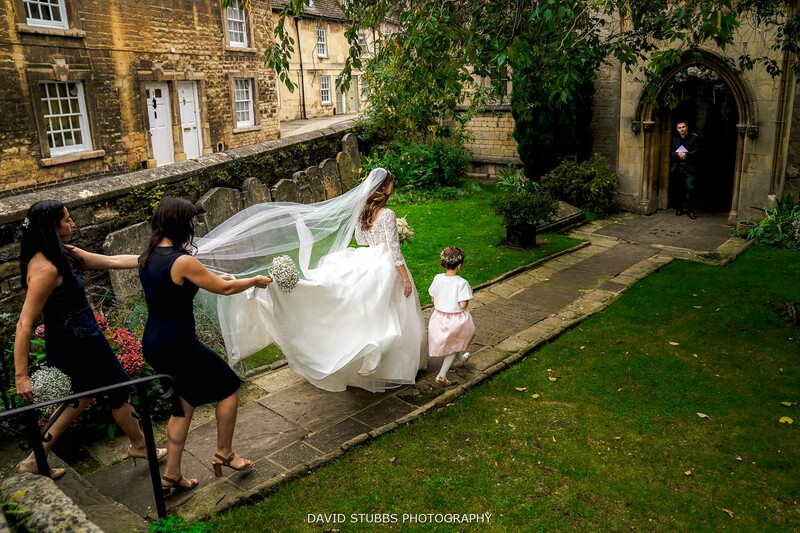 I was born in Stamford, the local town and grew up there. 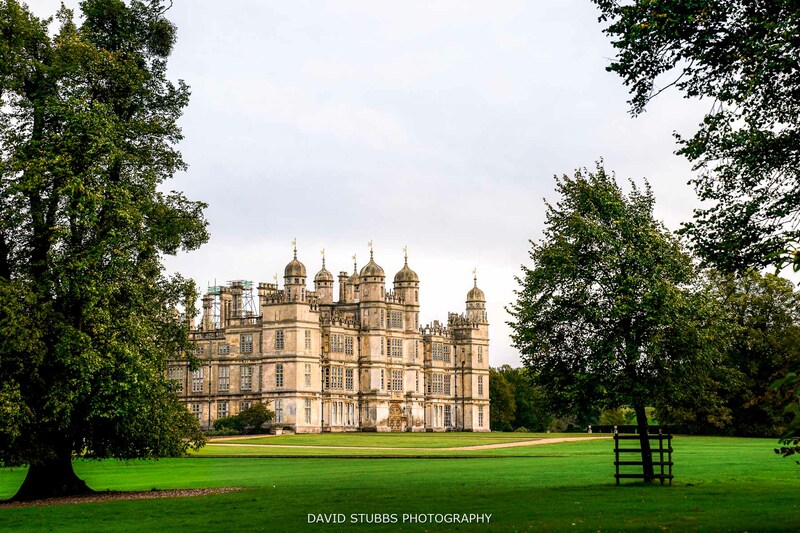 Burghley House is one of the largest houses in the entire world and a place that holds many events through the year including horse trials. 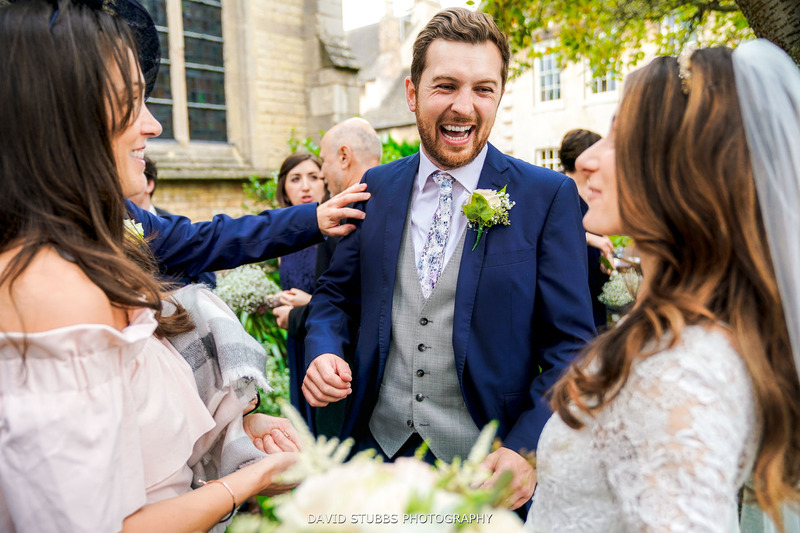 Although I now live further north, I love travelling to the area to photograph weddings and charge nothing extra for travel. 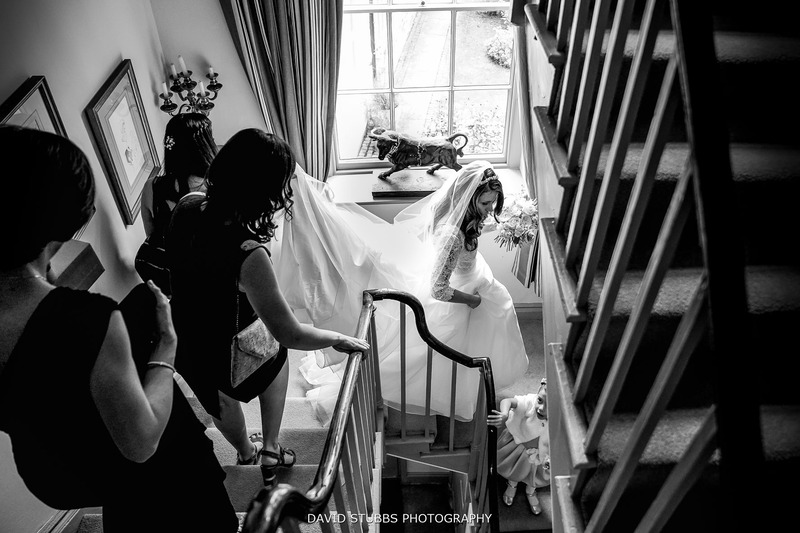 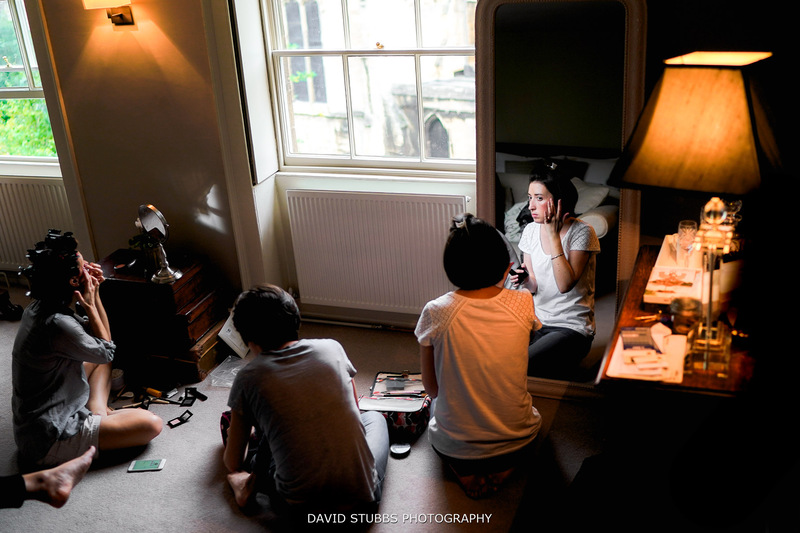 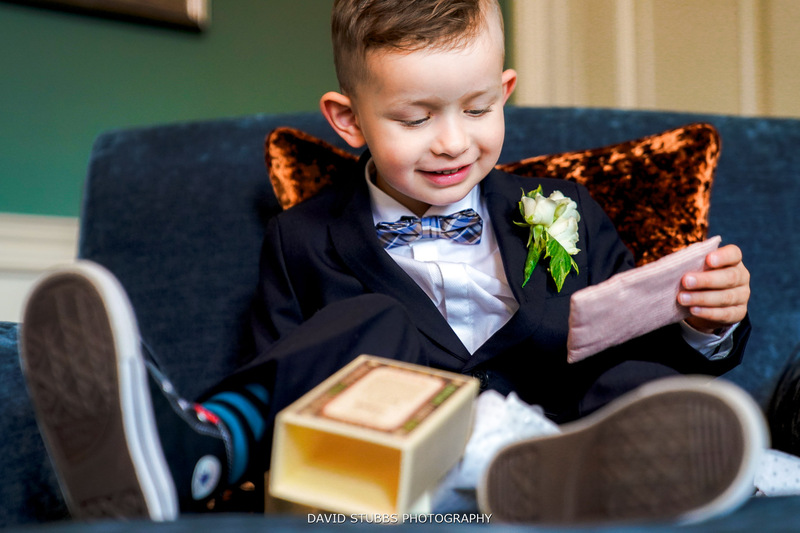 Both David & Illinca got ready in the town, with Illinca using a house on St Mary’s Hill and David in the world famous George Hotel. 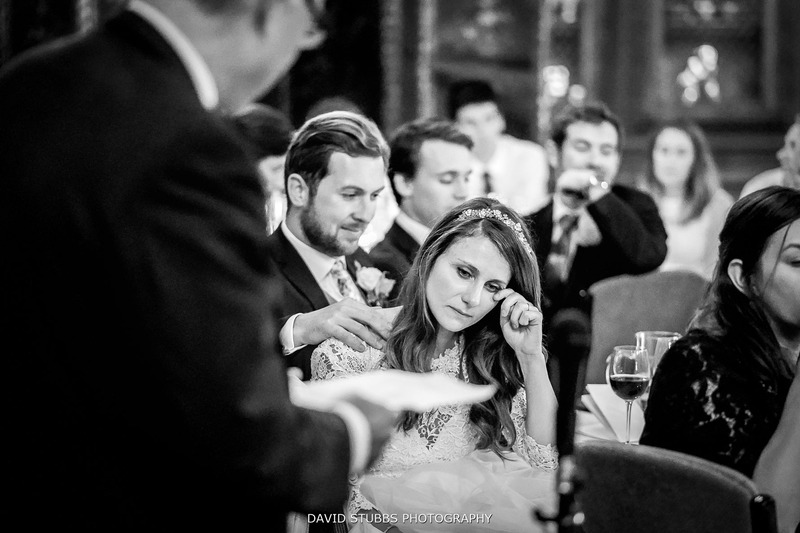 Their ceremony was at a nearby church. 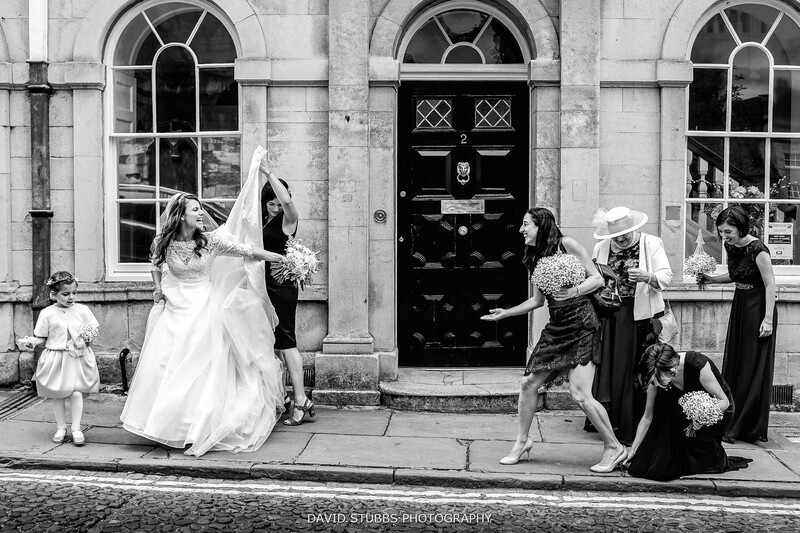 On route to the church, one of Illinca’s bridesmaids got one of kneels stuck on a crack which was just hilarious. 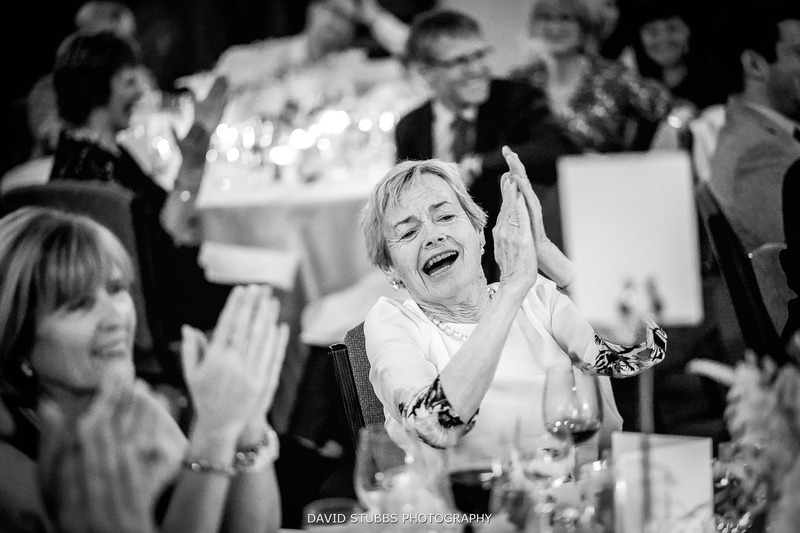 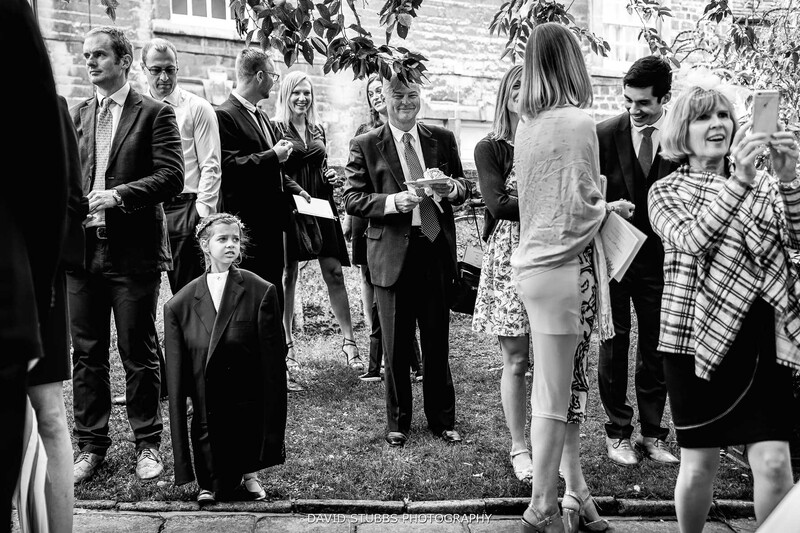 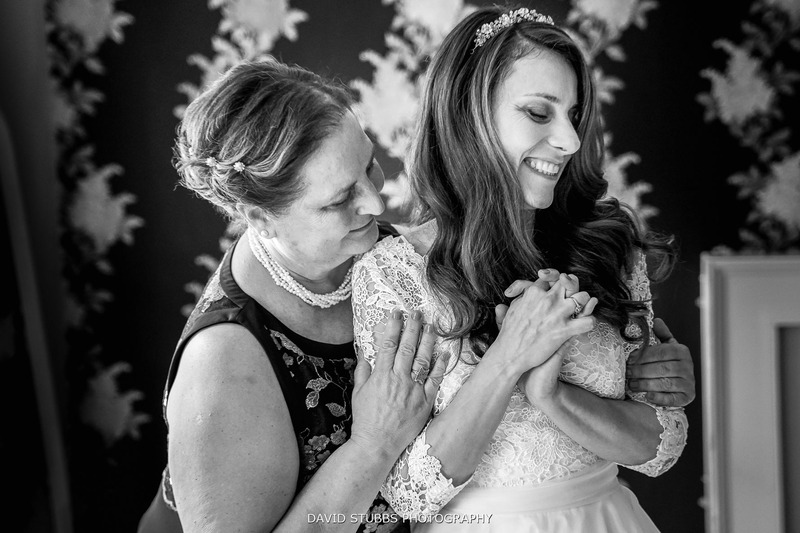 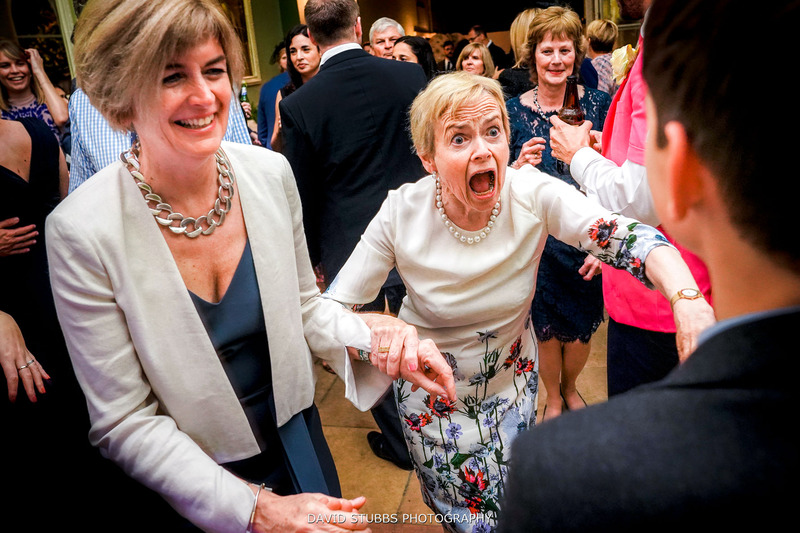 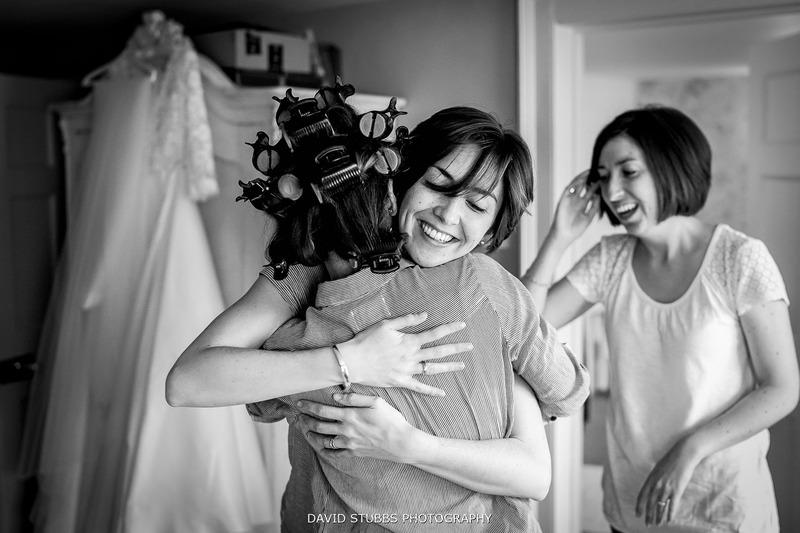 I was lucky enough to win an international Fearless Award for a photo I took of this moment. 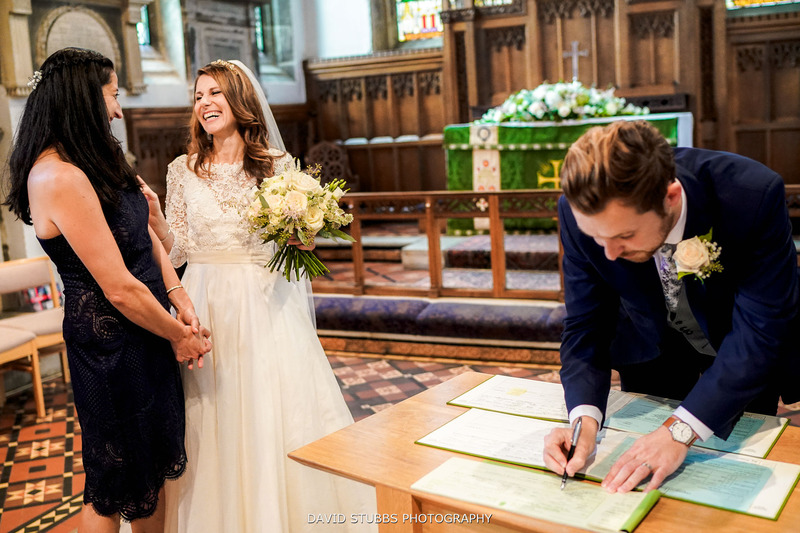 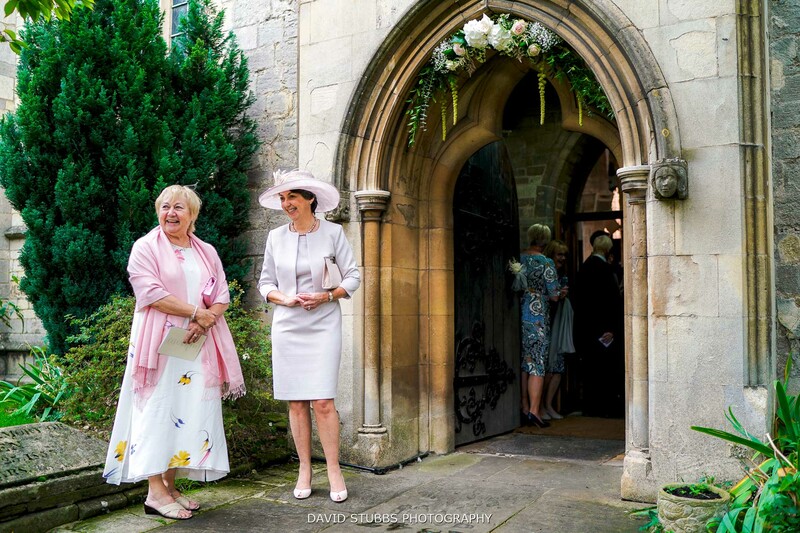 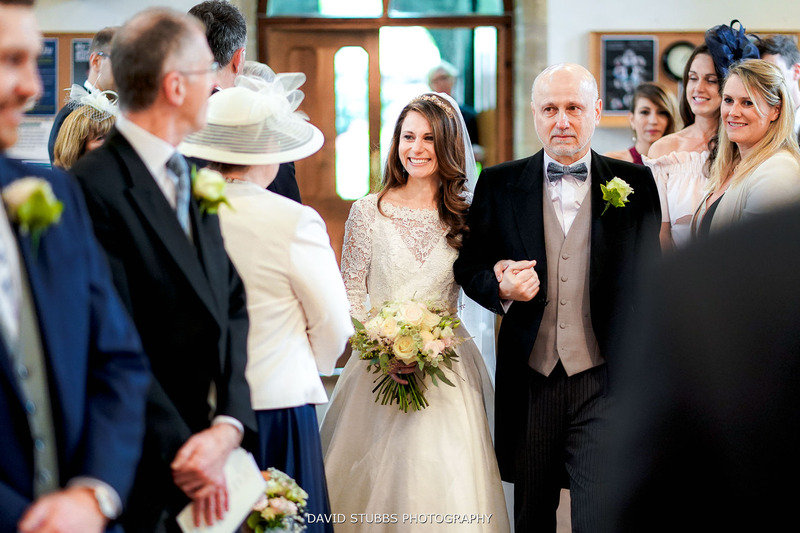 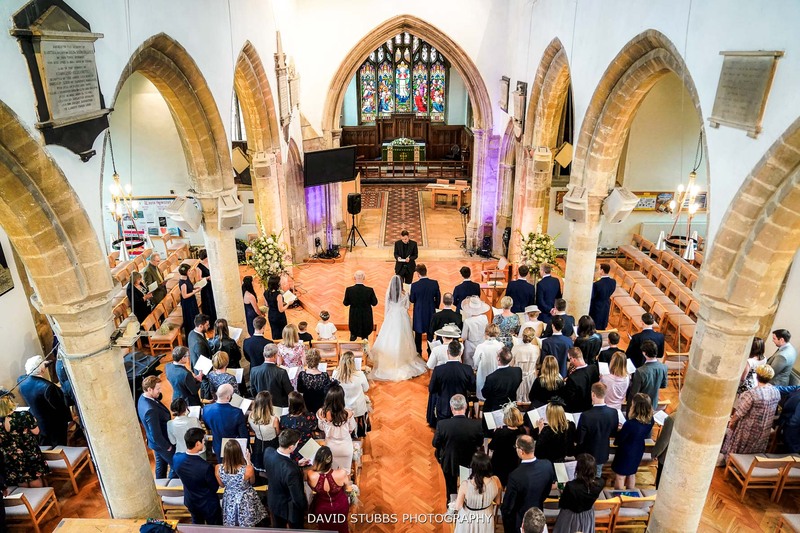 The church had stunning floral displays and just the perfect setting for wedding photography. 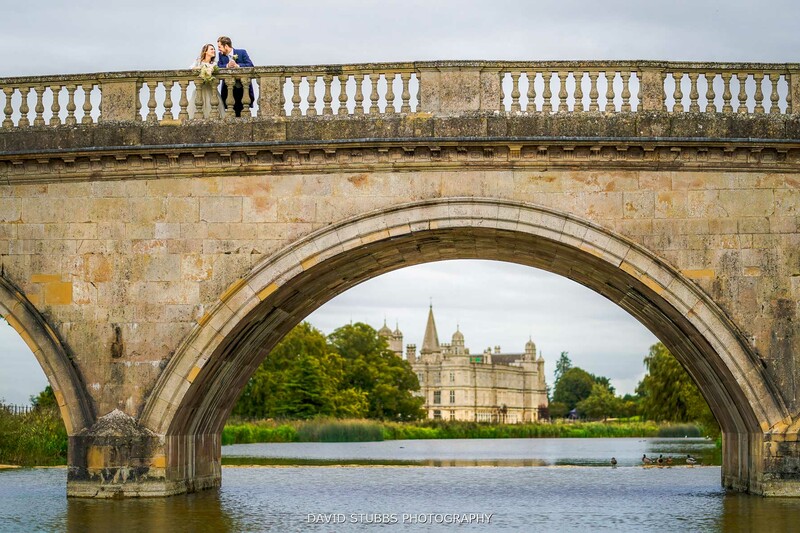 After the ceremony the newlyweds had confetti and then headed over to Burghley Park for some photos at Lion Bridge with Burghley House making the perfect backdrop to the photos. 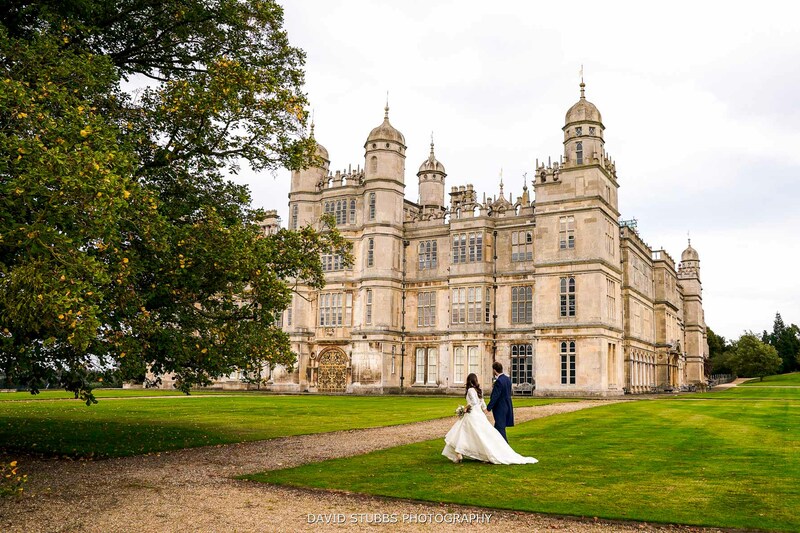 Burghley House limited the number of weddings is has a year because it has a busy calendar of events. 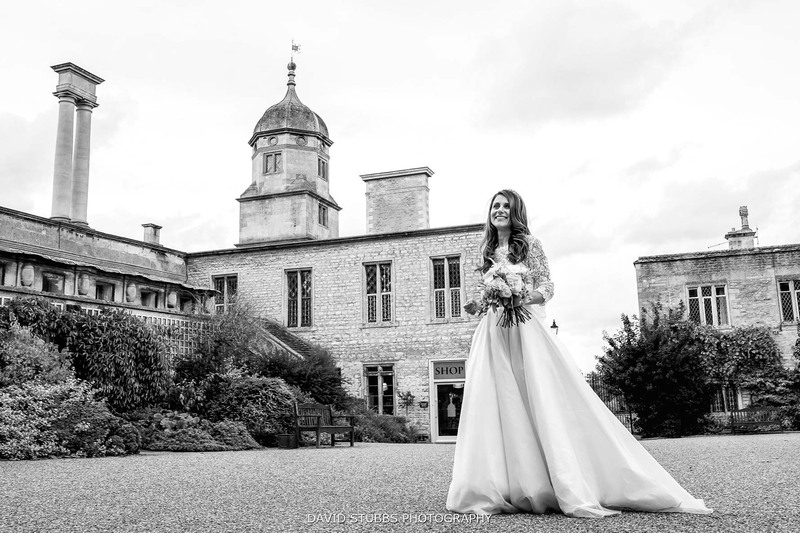 It’s so great to be one of the lucky photographers to have a chance to photograph a wedding at Burghley House. 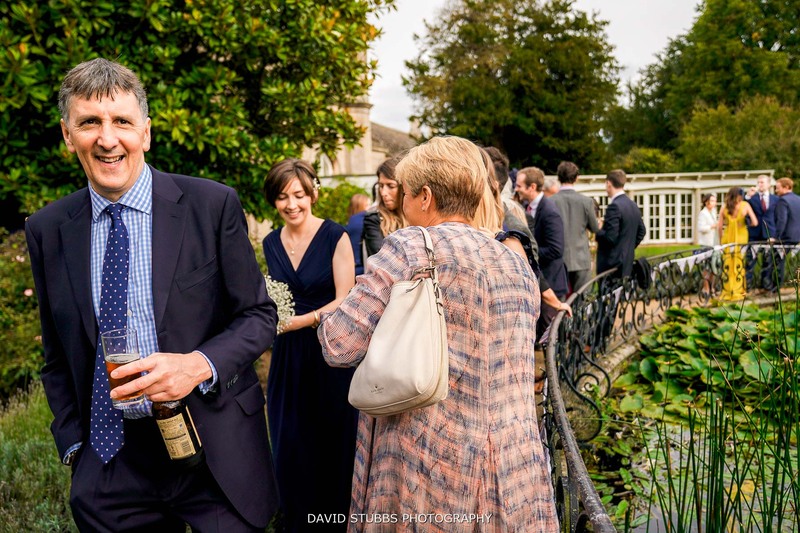 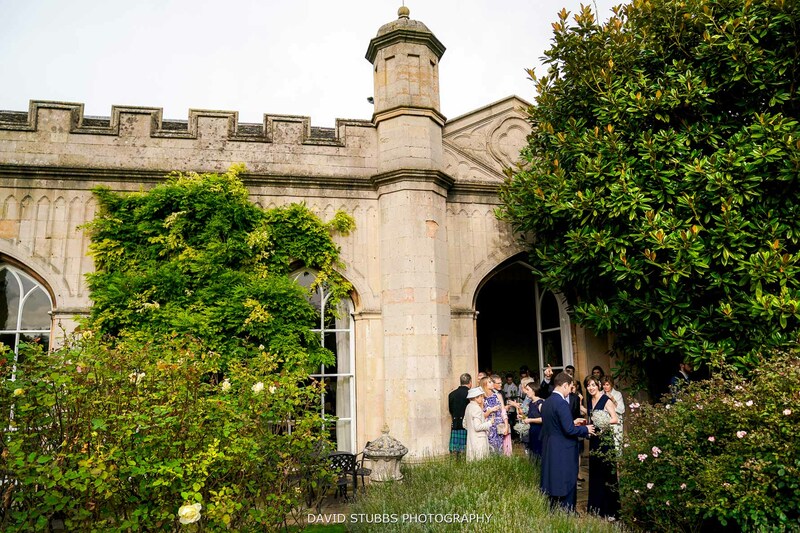 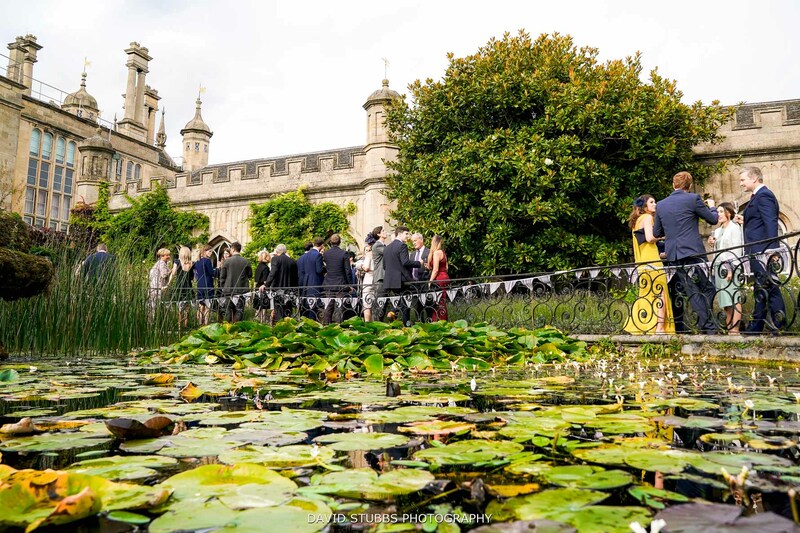 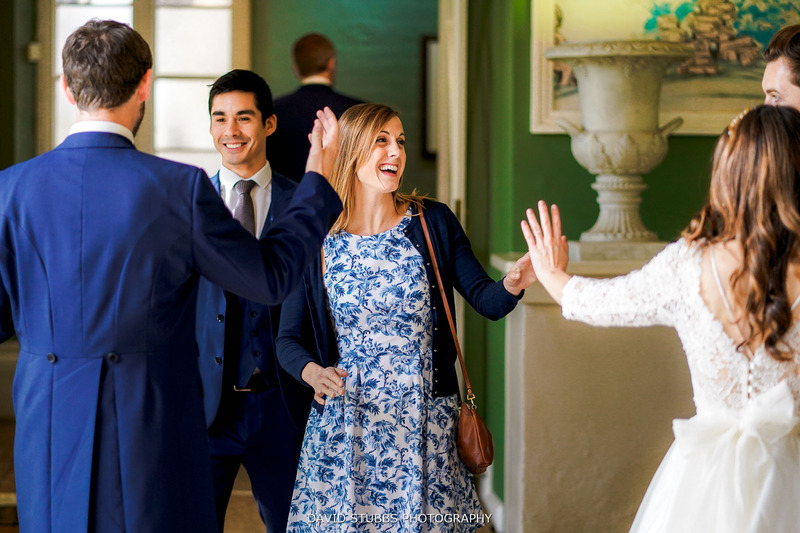 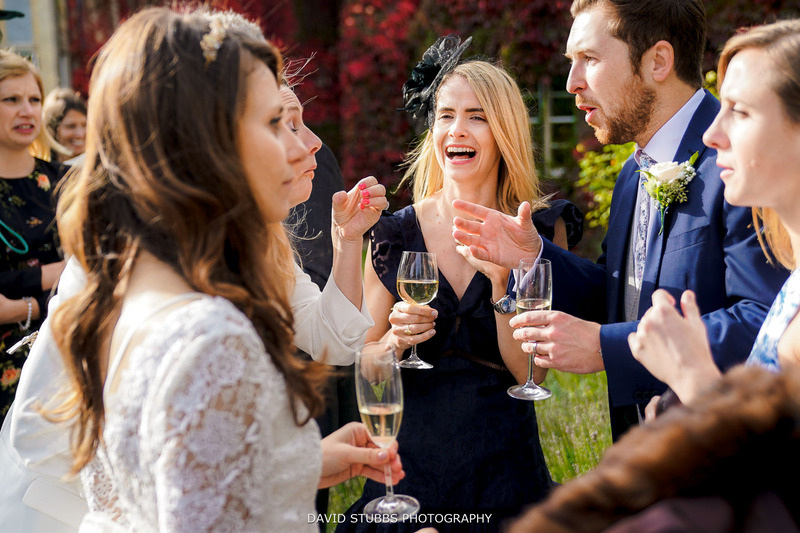 The wedding reception was held in the orangery, with the rose garden outside for wedding guests to enjoy drinks outside in the sun. 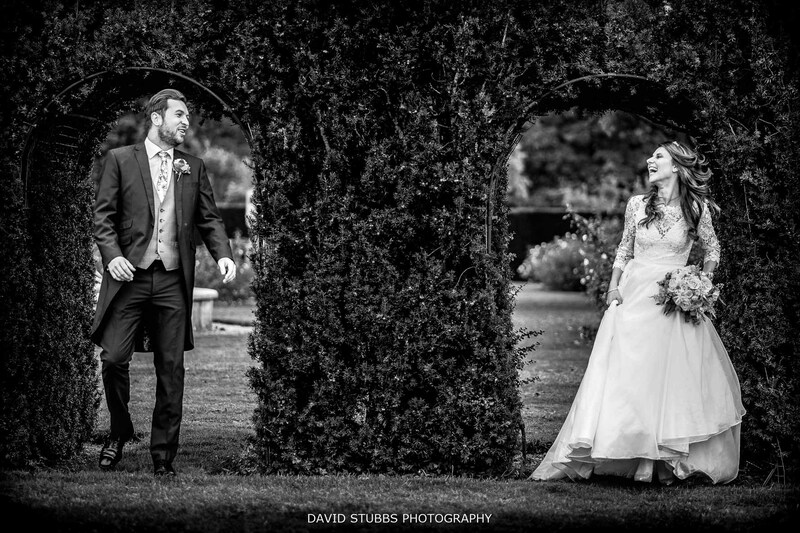 The couple headed outside for some more photos in the gardens, what an idealic setting. 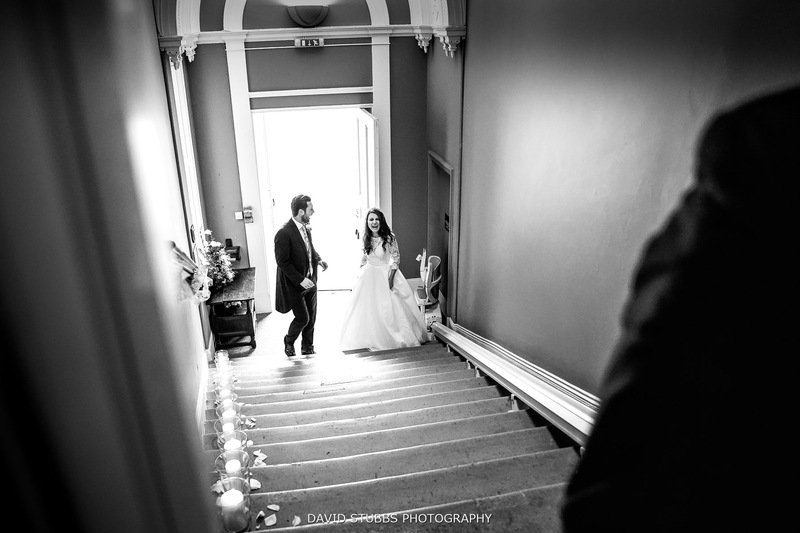 They also headed up ‘Hell’s Staircase’ before having their wedding breakfast in the Great Hall. 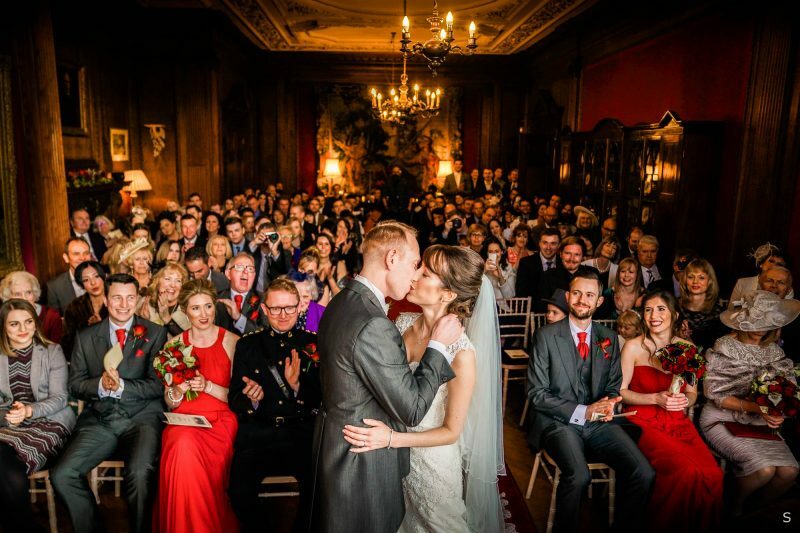 What an incredible wedding to be part of. 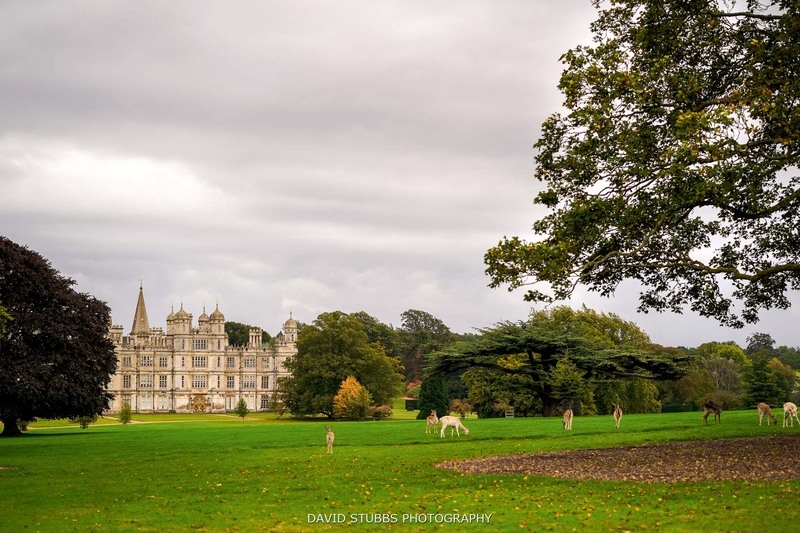 I’d love to capture wedding images at Burghley House every weekend. 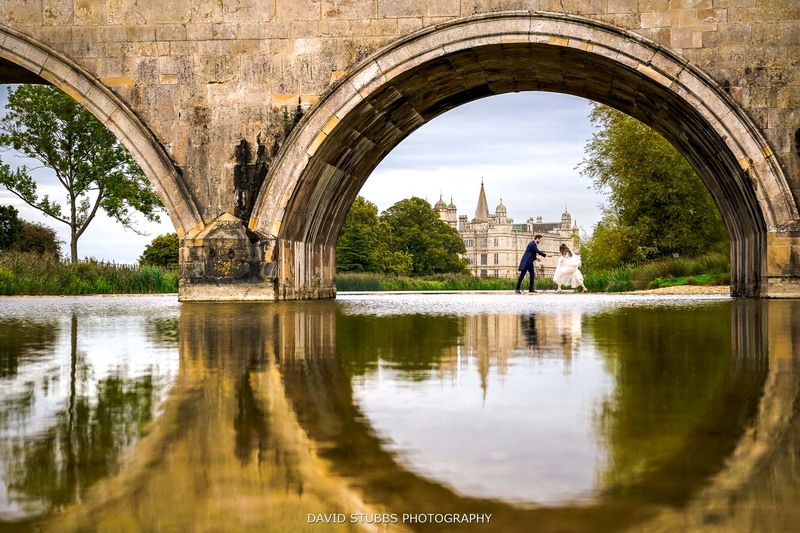 Thank you and huge congrats to David & Illinca, and also the staff at Burghley House for your hospitality. 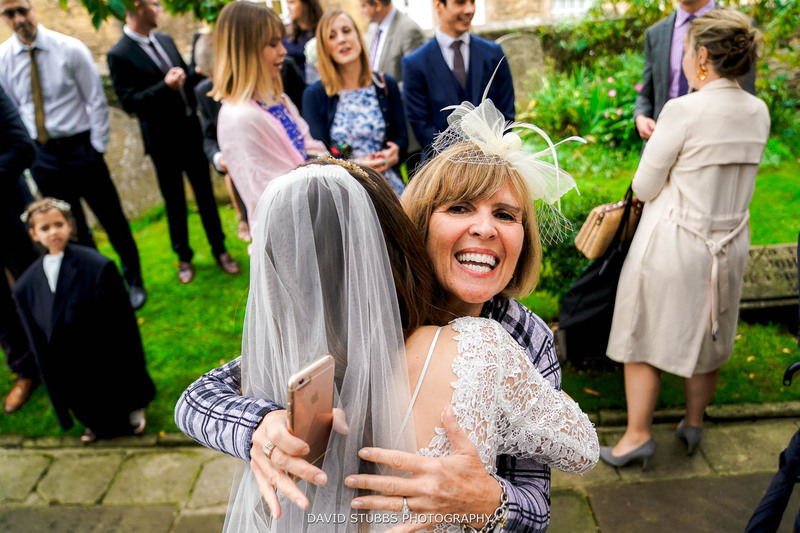 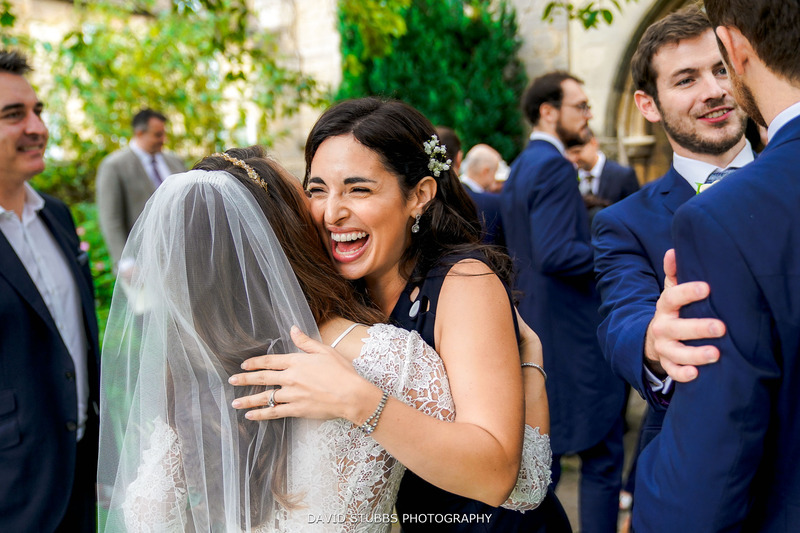 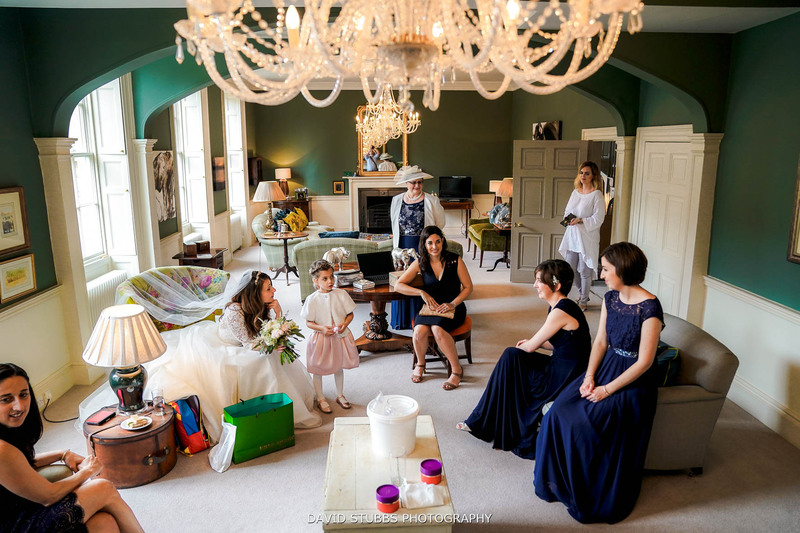 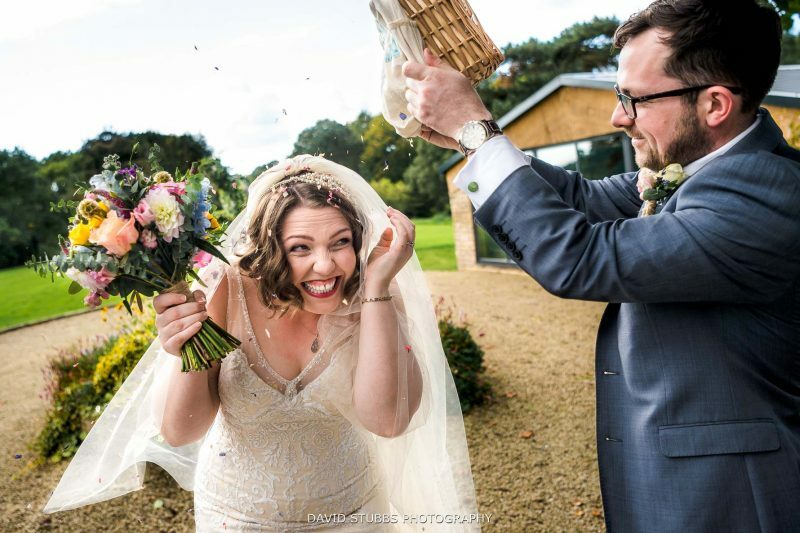 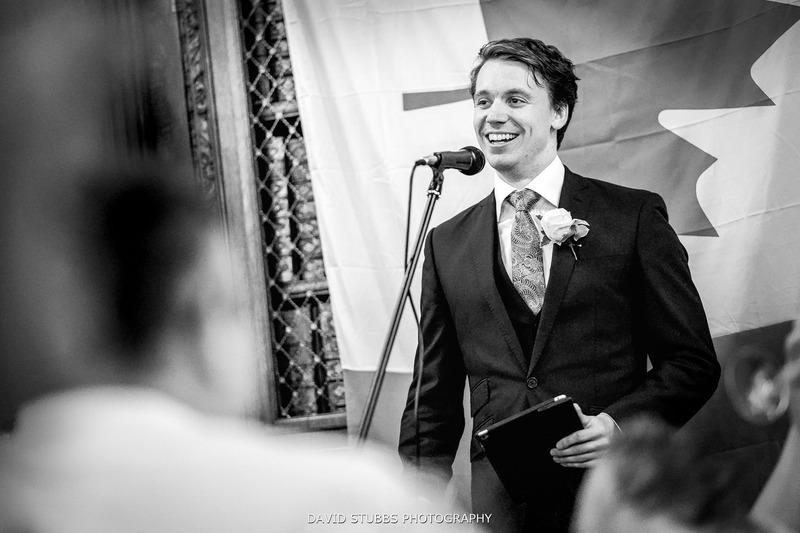 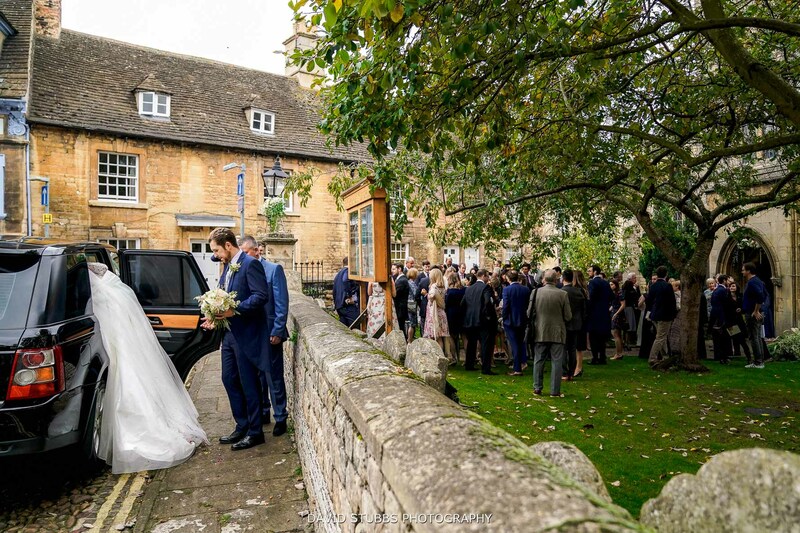 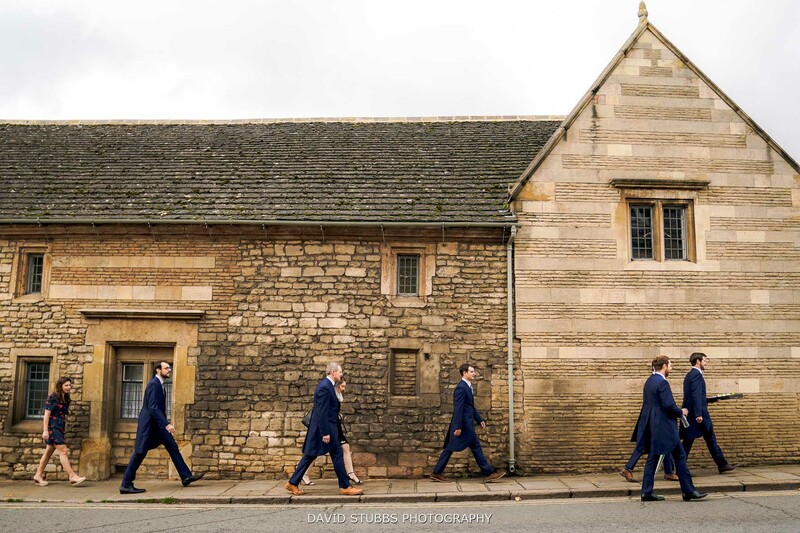 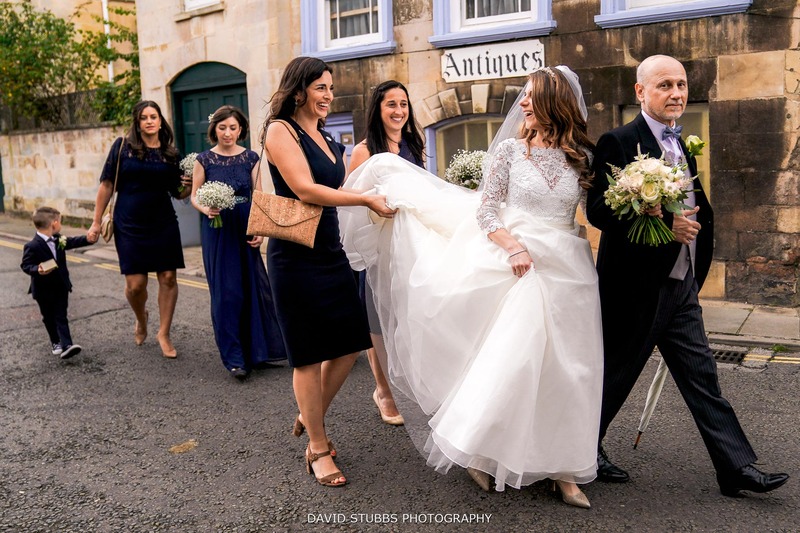 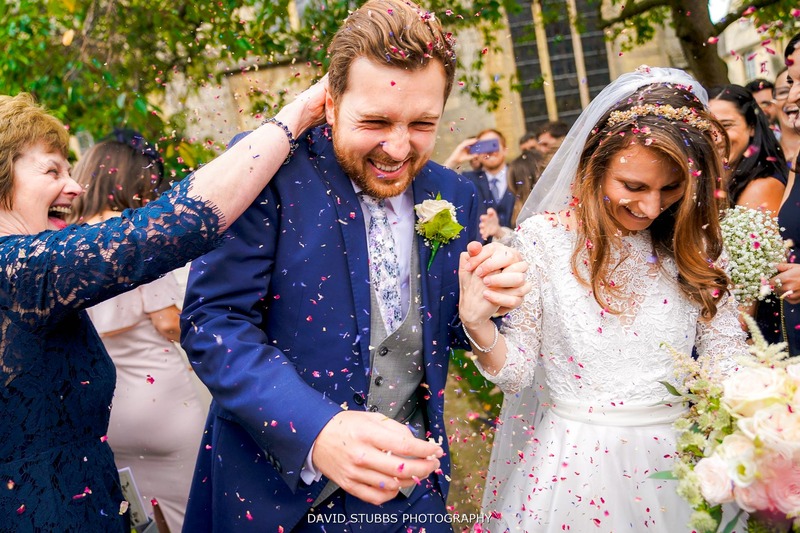 If you are getting married at the house, or anywhere in the Stamford area then please get in touch to discuss your wedding photography as I do not charge anything for travel. 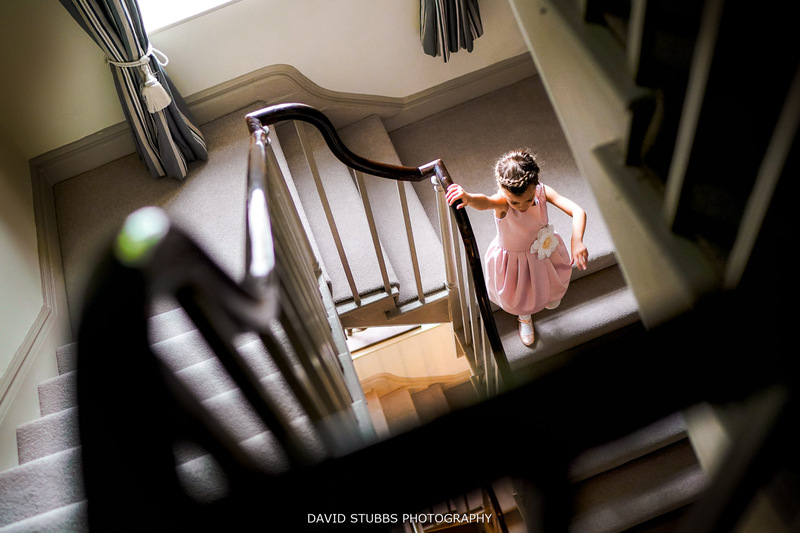 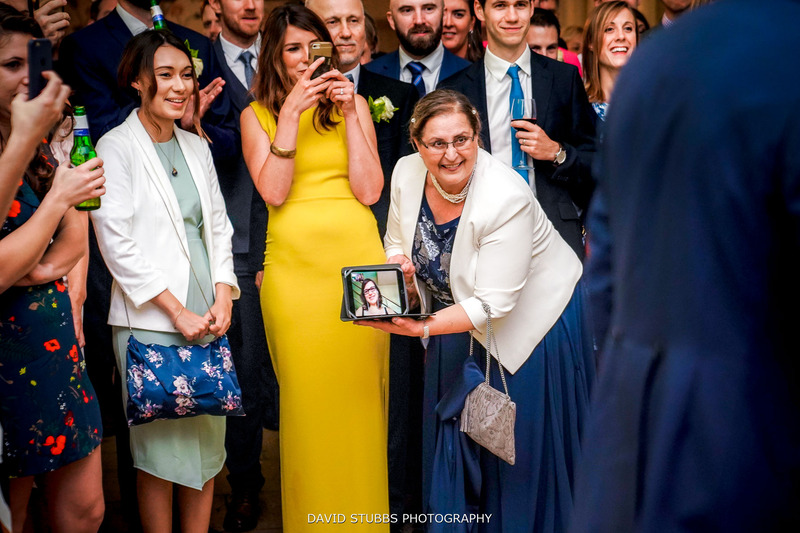 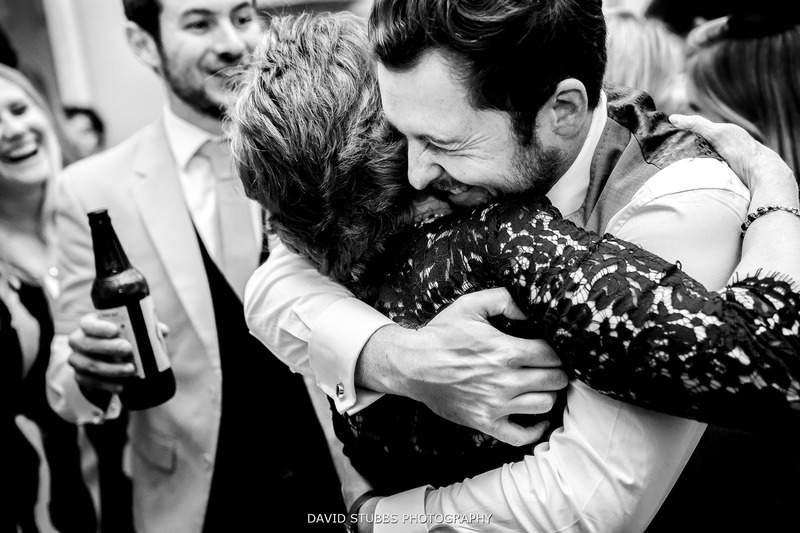 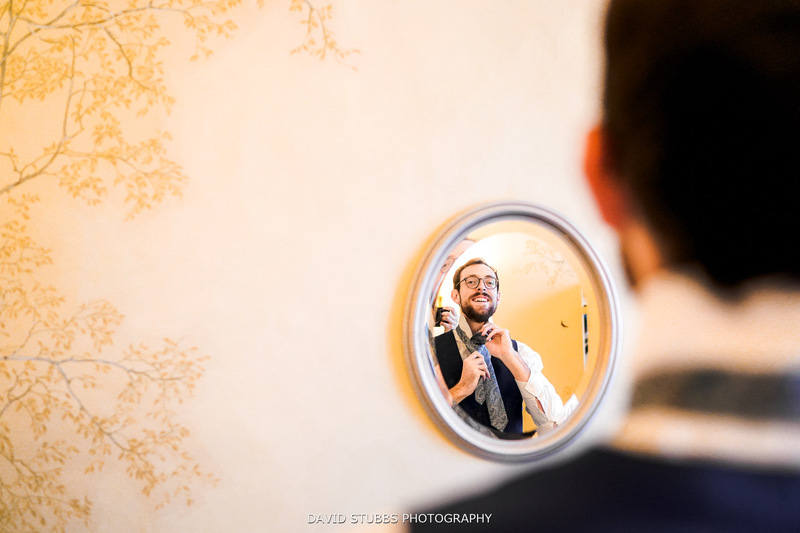 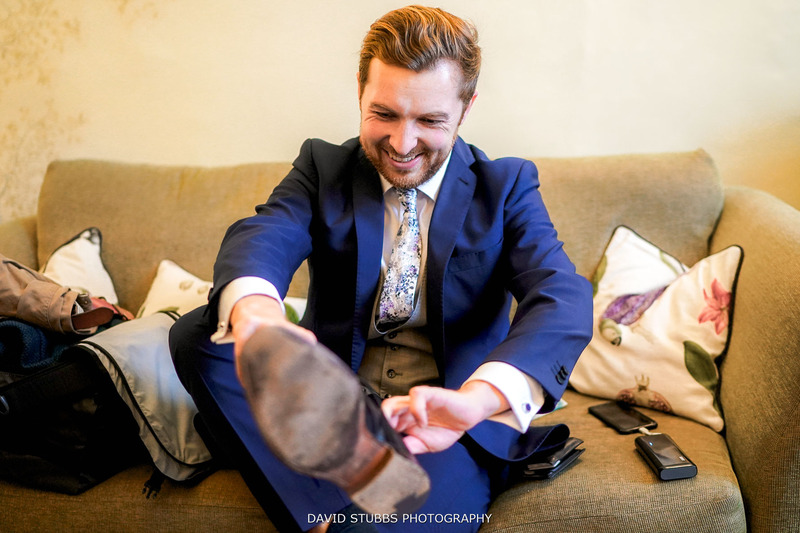 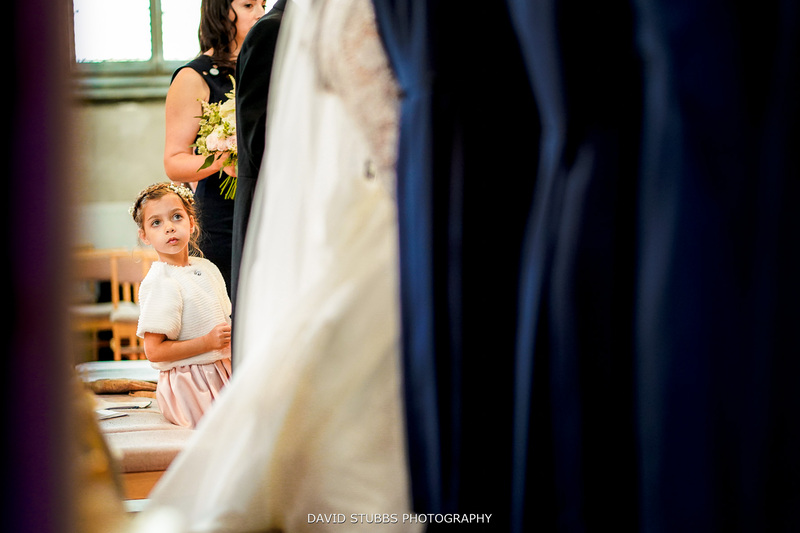 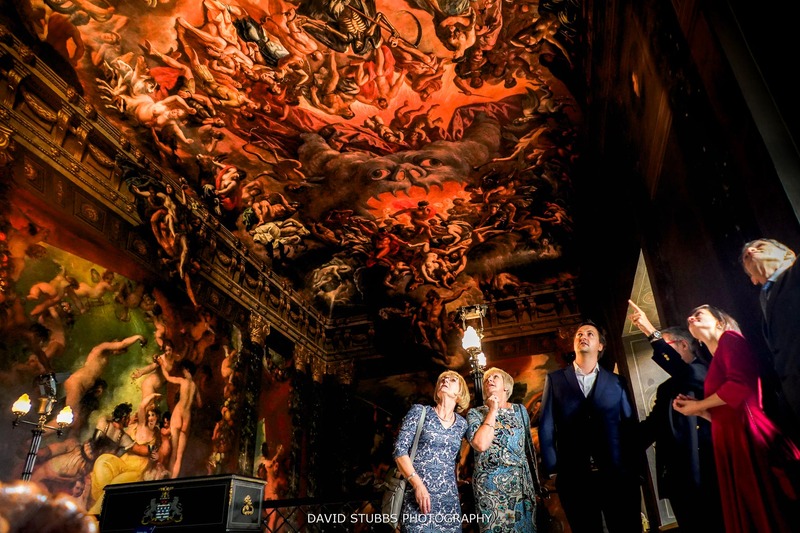 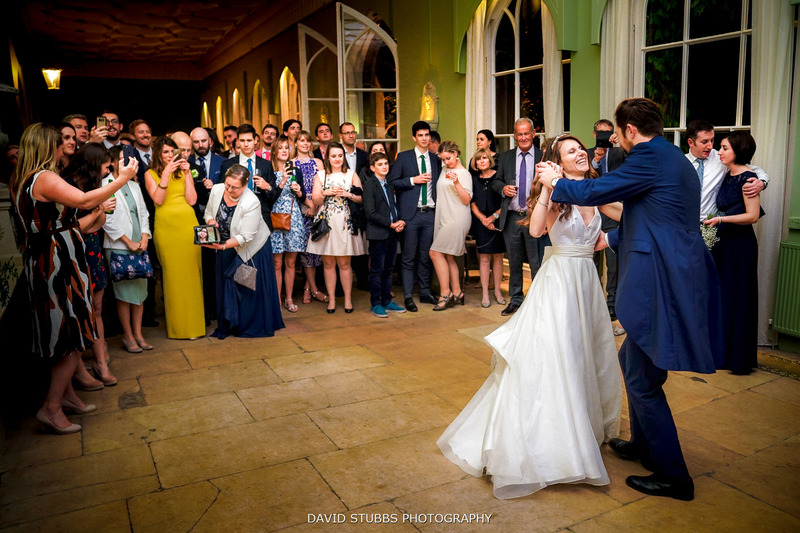 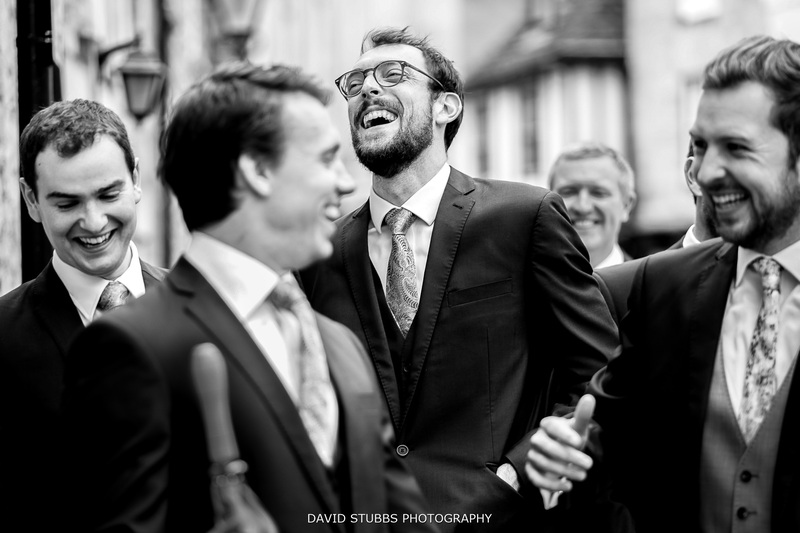 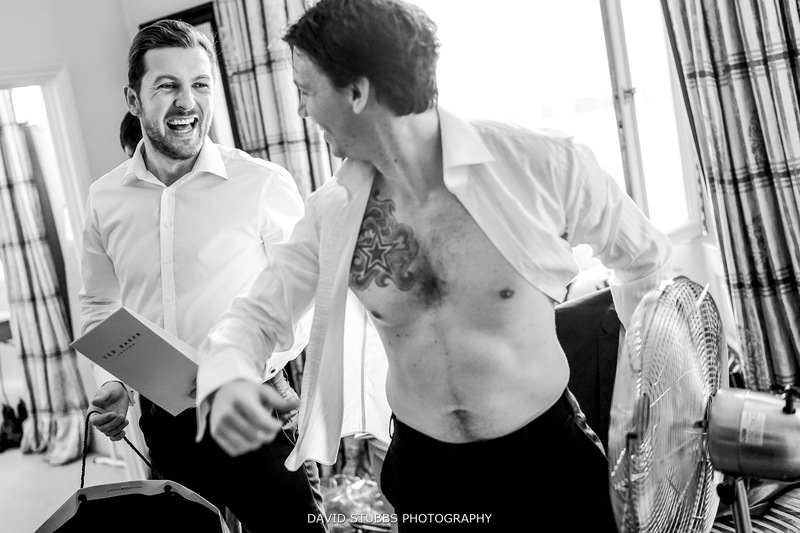 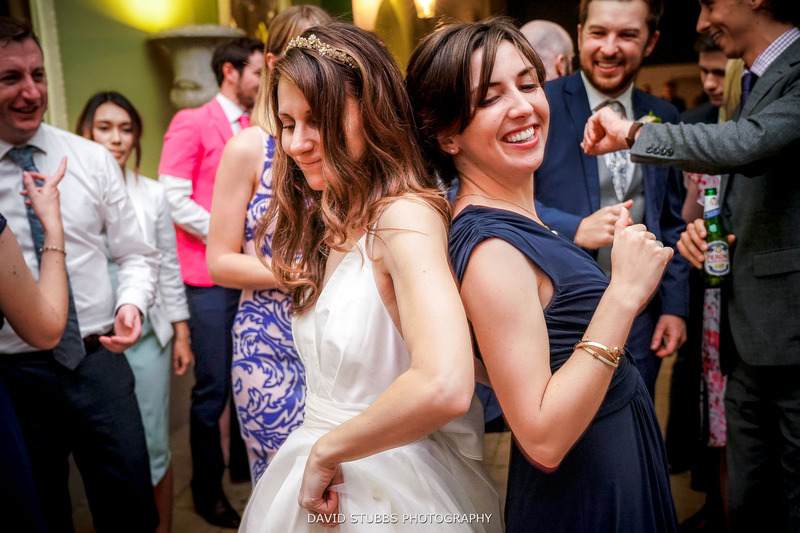 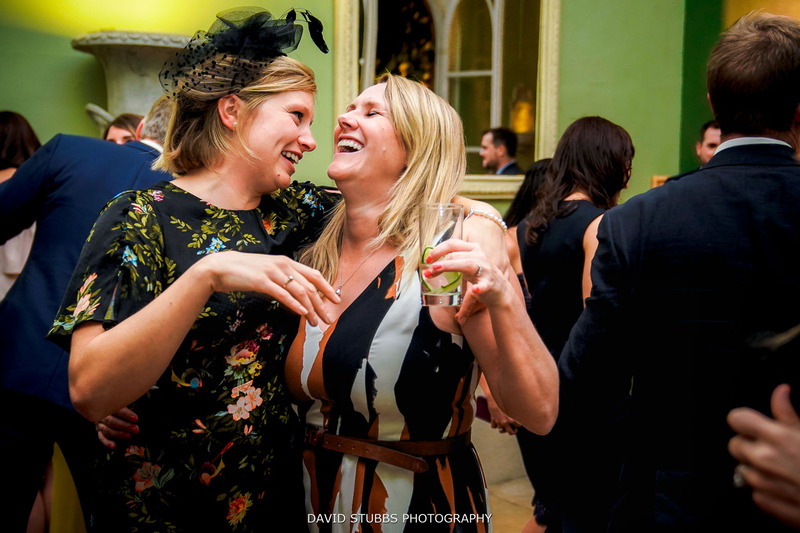 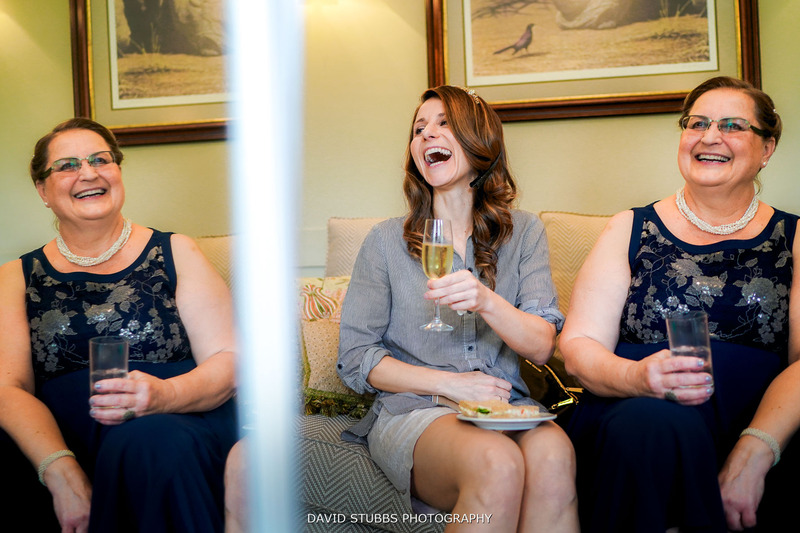 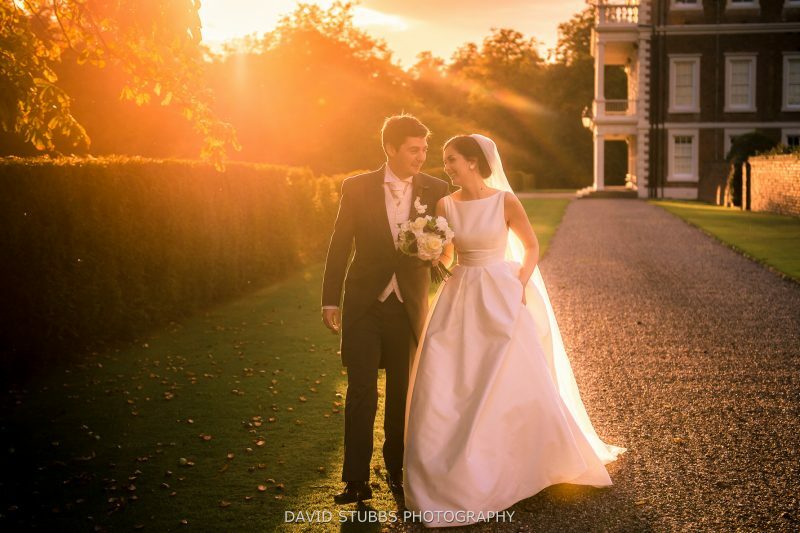 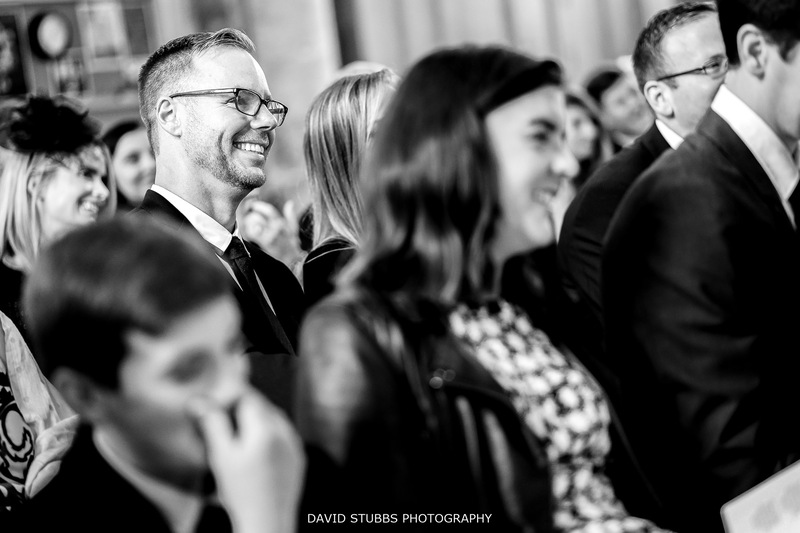 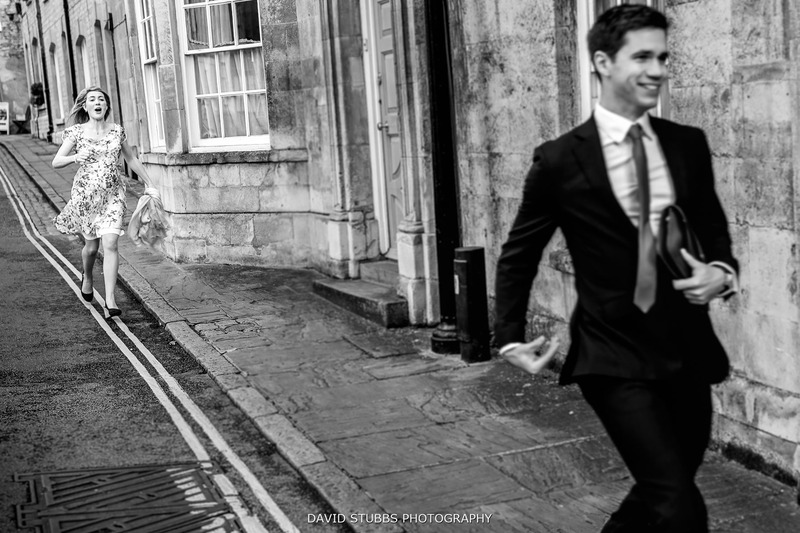 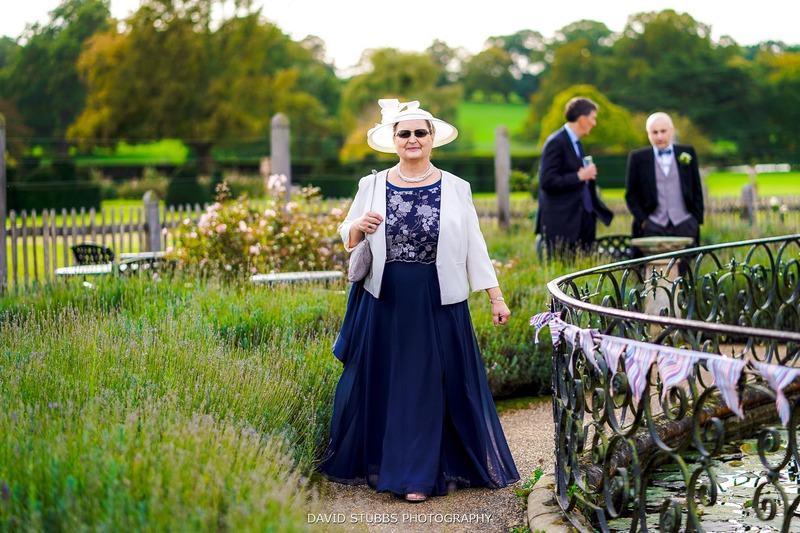 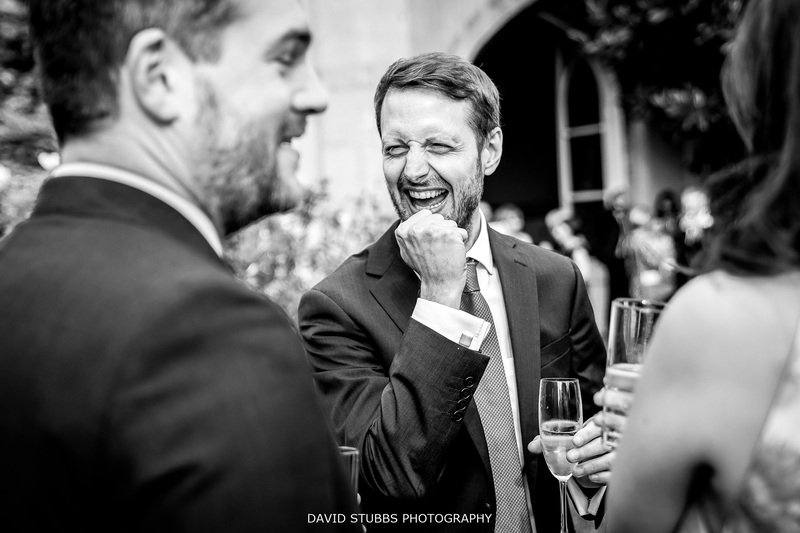 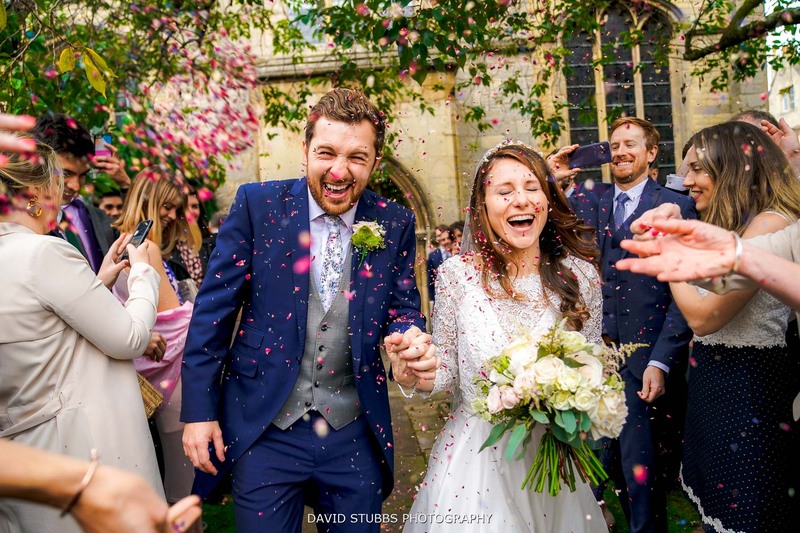 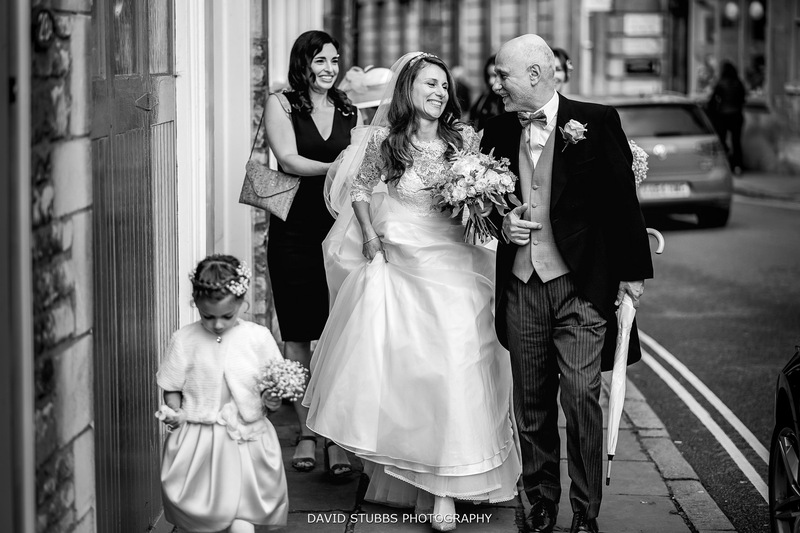 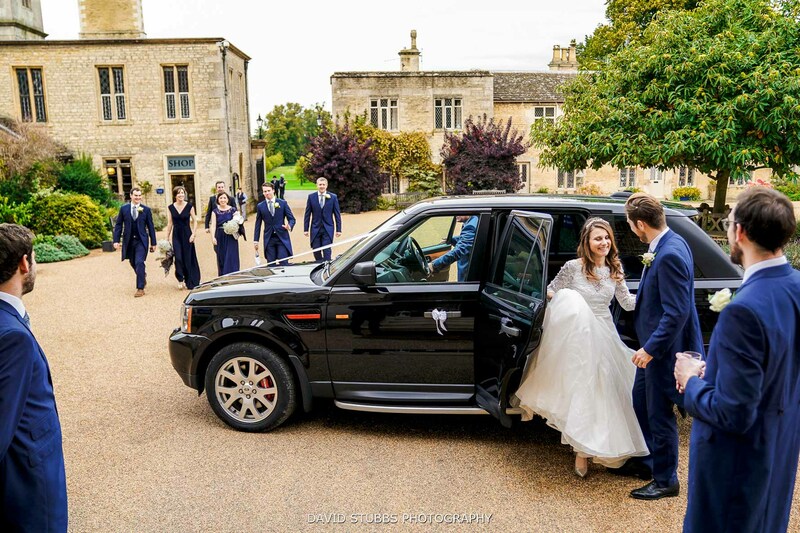 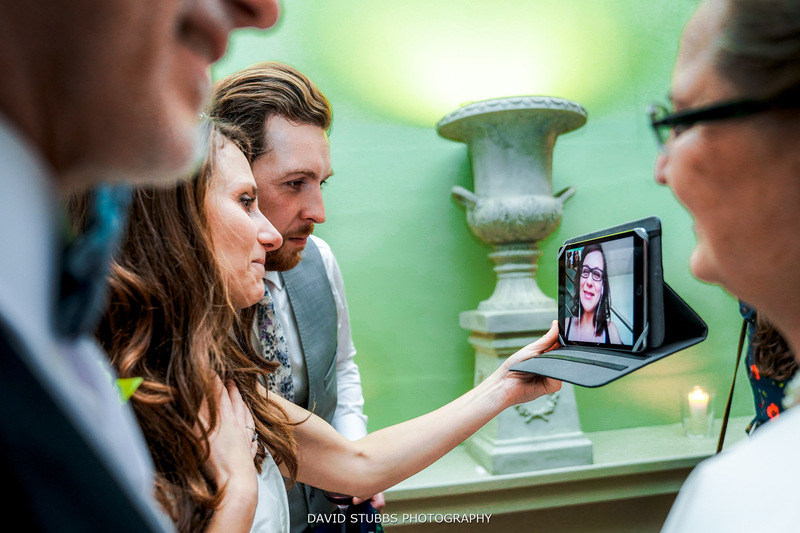 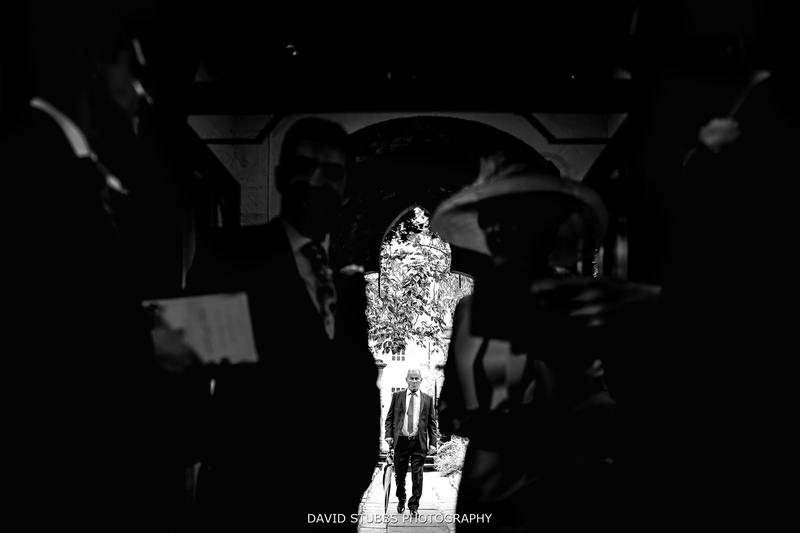 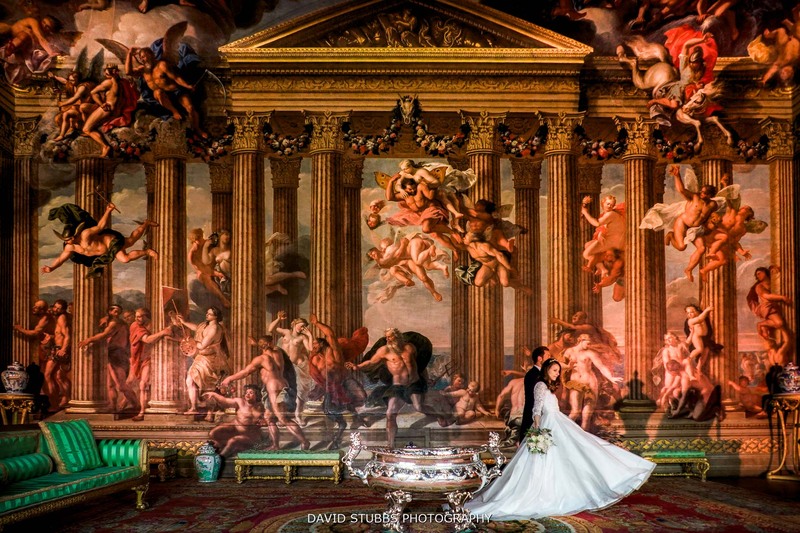 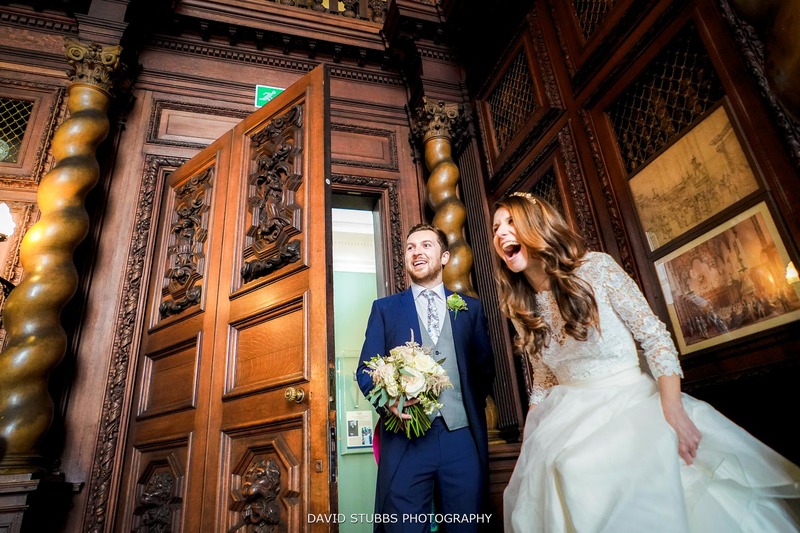 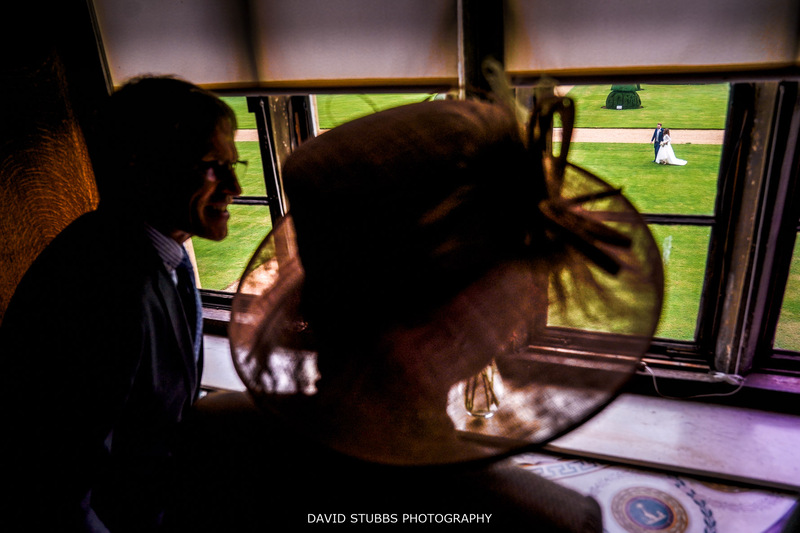 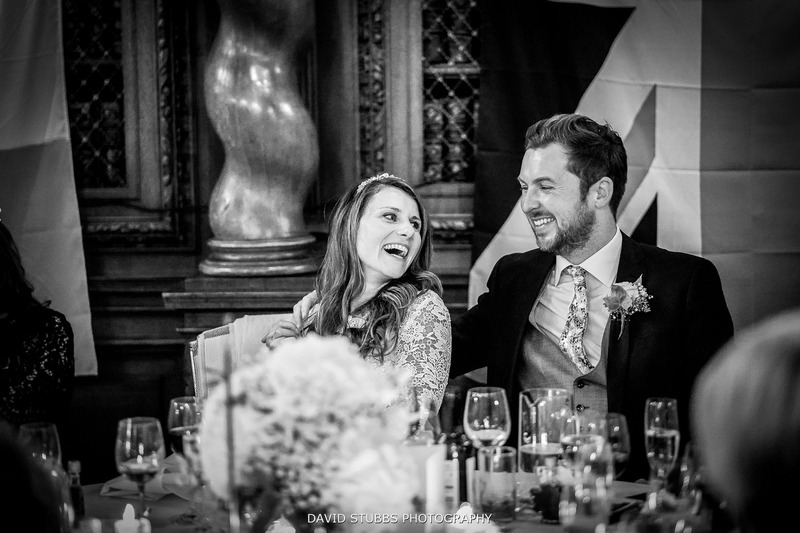 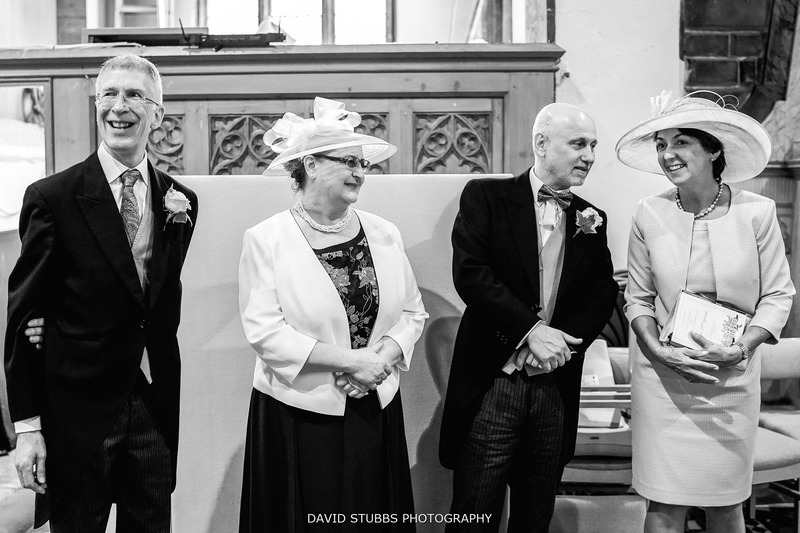 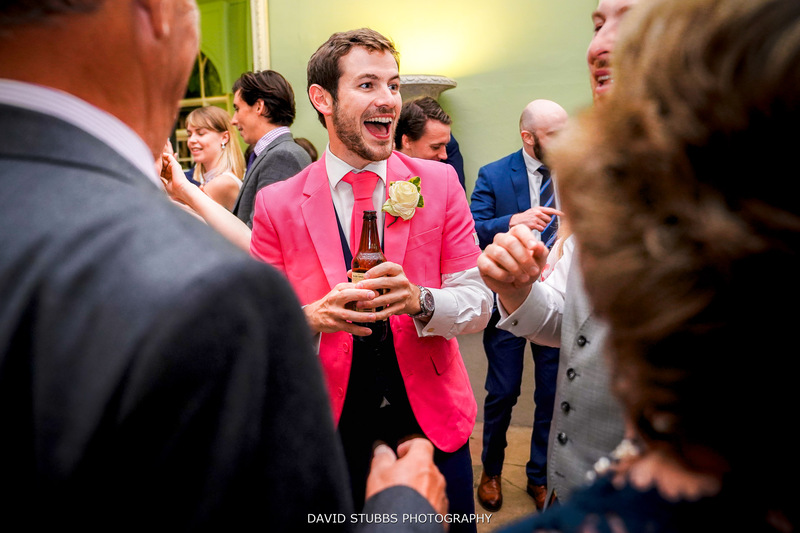 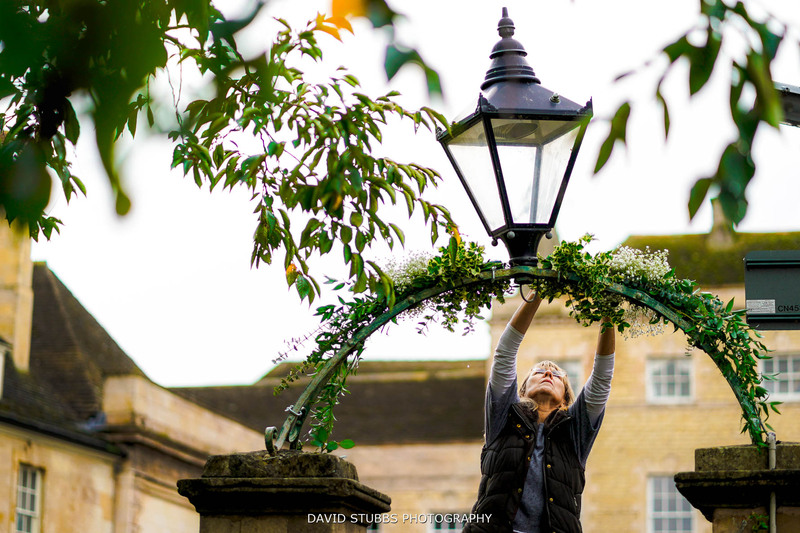 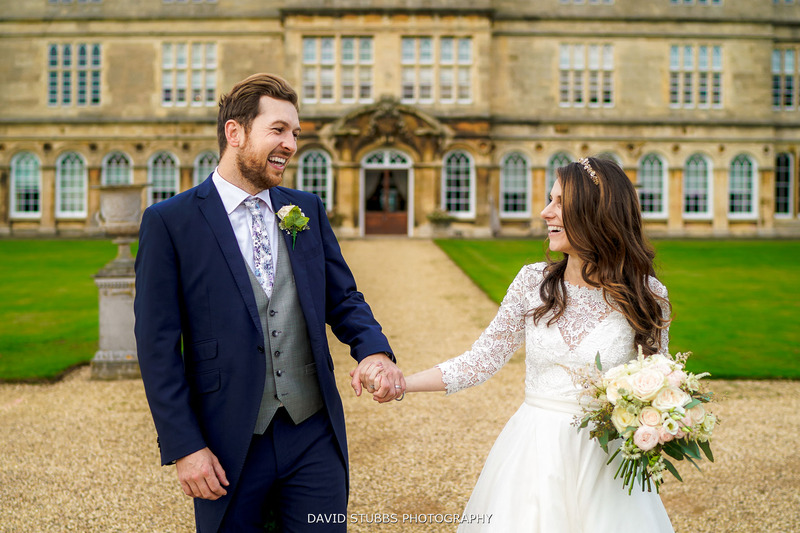 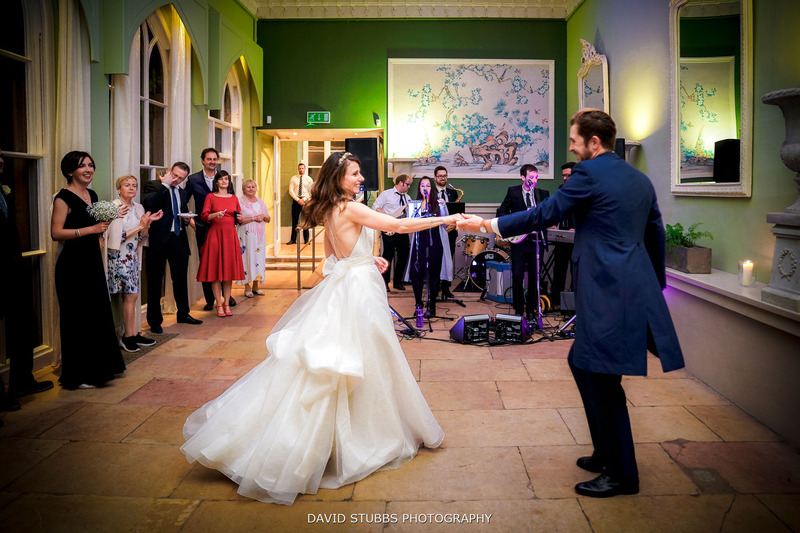 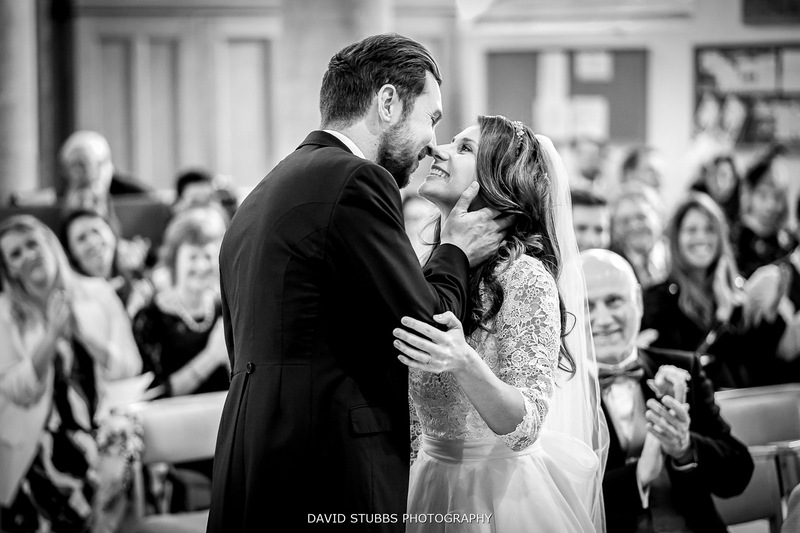 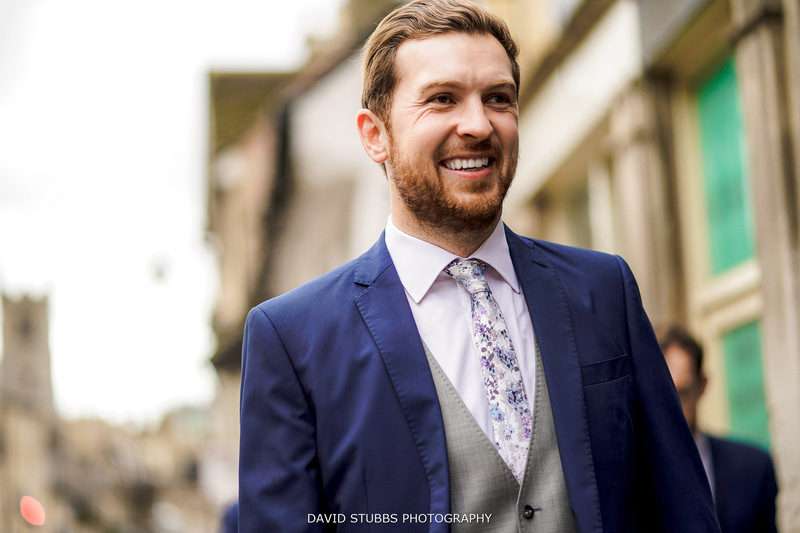 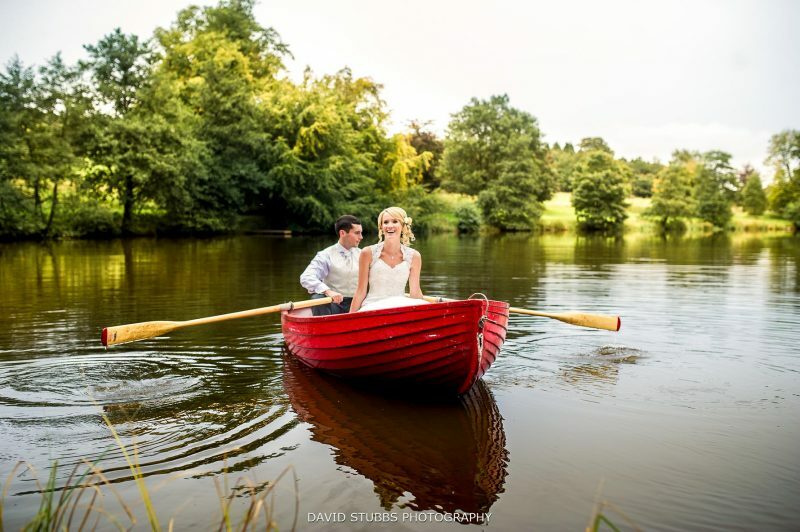 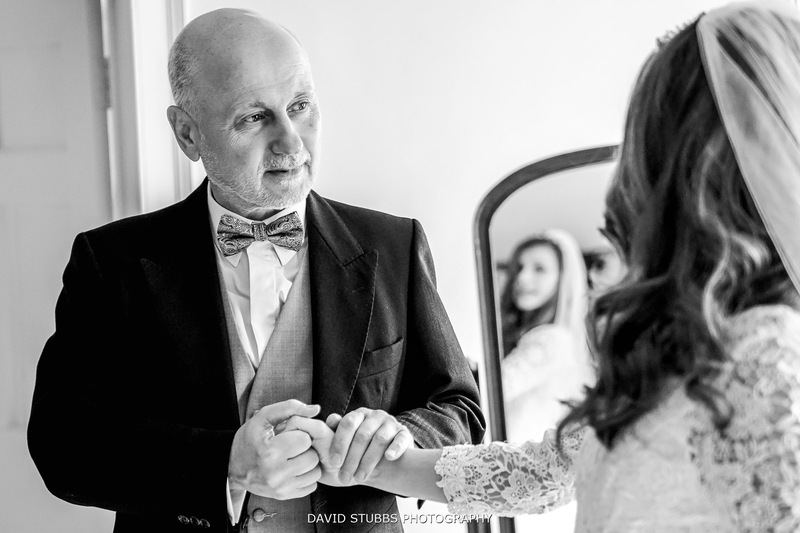 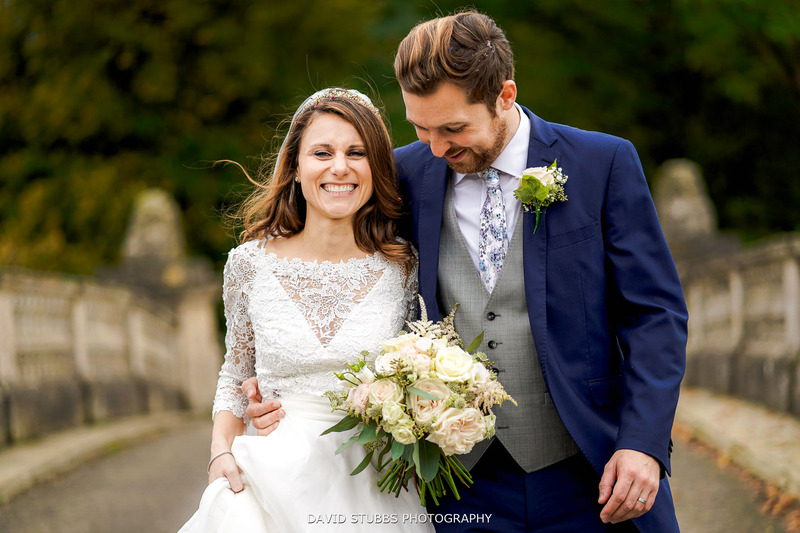 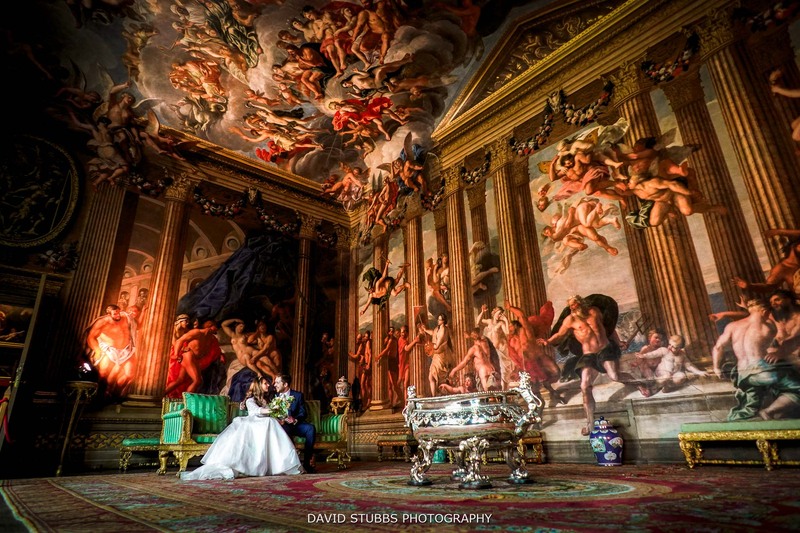 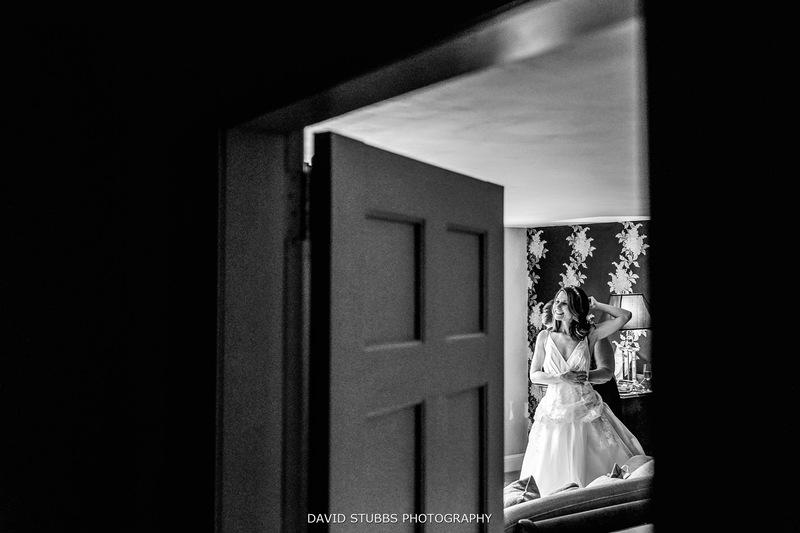 Burghley House weddings photographed by David Stubbs. 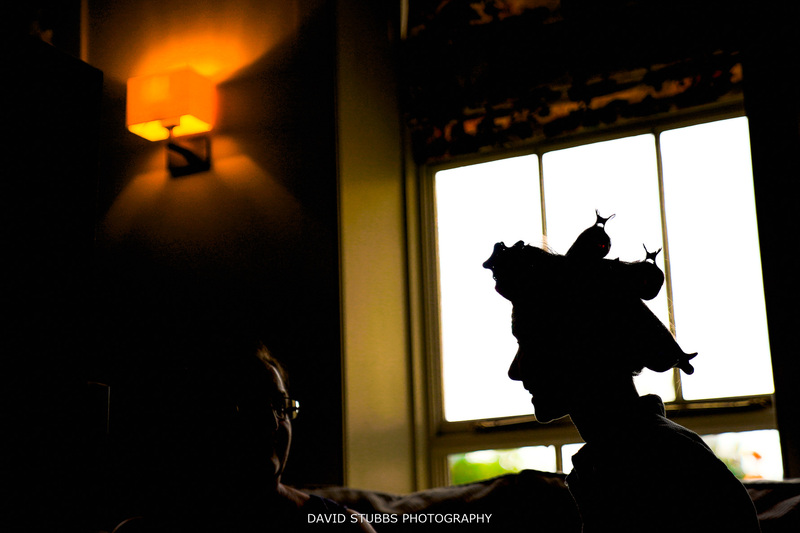 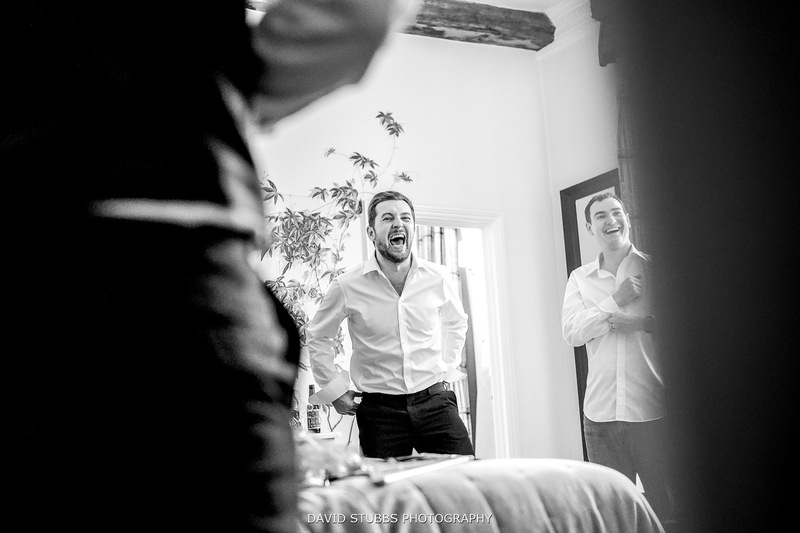 If you are getting married and looking for a natural wedding photographer then please get in touch to discuss more. 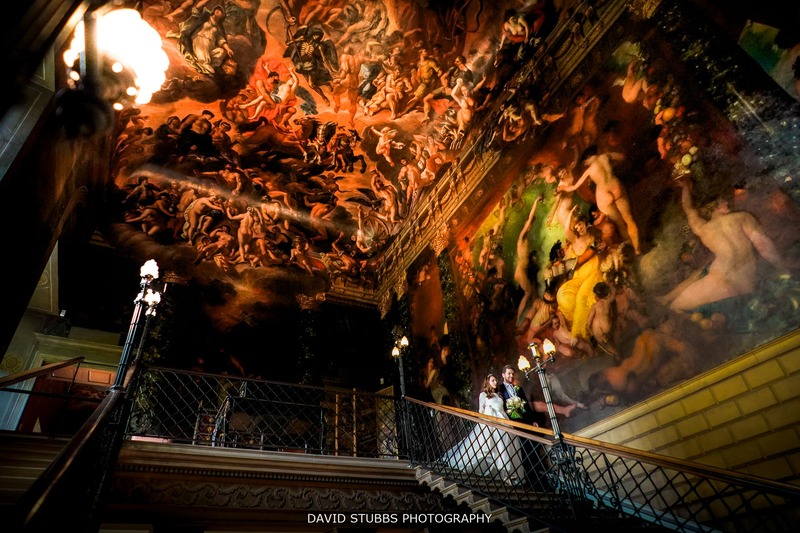 Outstanding work Mr Stubbs and an amazing venue too! 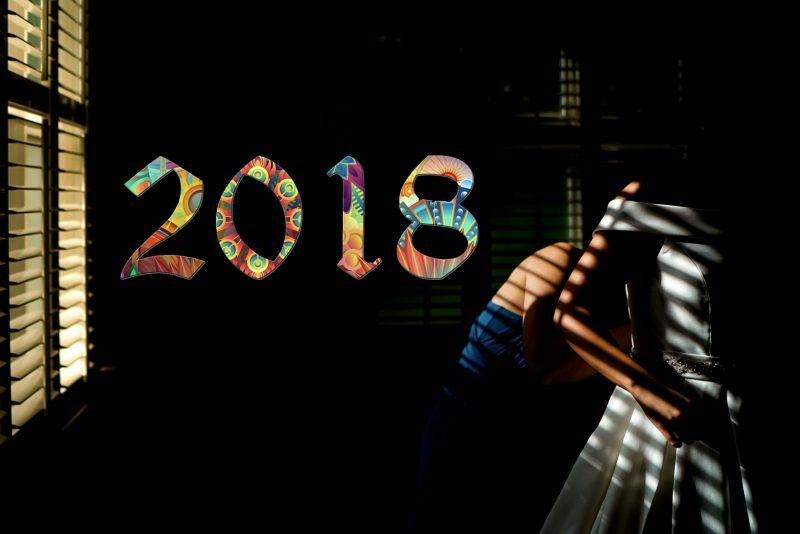 Loving the new website.